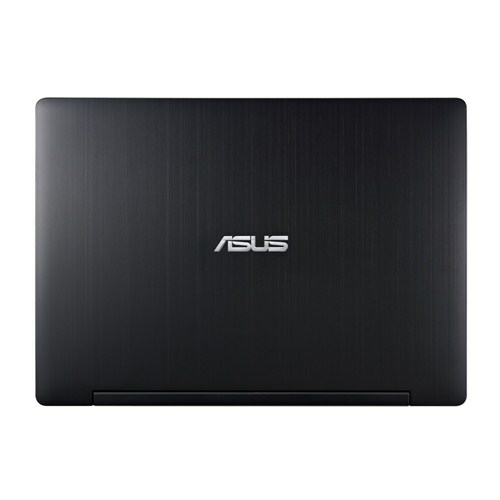 ASUS опять показала что-то интересное. По большей части, как пишут обозреватели, Transformer Book Trio - концепт, однако некоторые из них уверяют в том, что, по словам представителей компании, монструозный гибрид уже в третьем квартале поступит в продажу. Правда, где и по какой цене – сие в строжайшей тайне еще хранится. В любом случае, это что-то новое, и если даже Transformer Book Trio останется дорогостоящей игрушкой, другие производители или даже инженеры самой компании почерпнут после выхода продукта на рынок массу интересных идей для дальнейшему развитию если не индустрии в целом, то хотя бы «секции» трансформеров. The Transformer Book Trio is a very compelling proposition if you’re hunting for a workhorse hybrid PC. 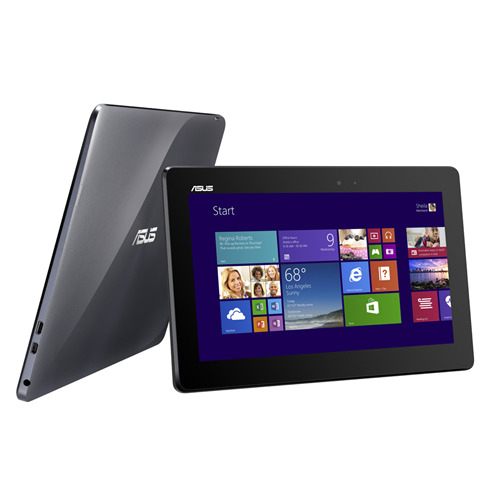 With ability to use the notebook as a Windows 8 PC and the screen as an Android tablet – at the same time; is something that hasn’t been done before. This alone makes the Trio one of the best hybrids in the market right now. 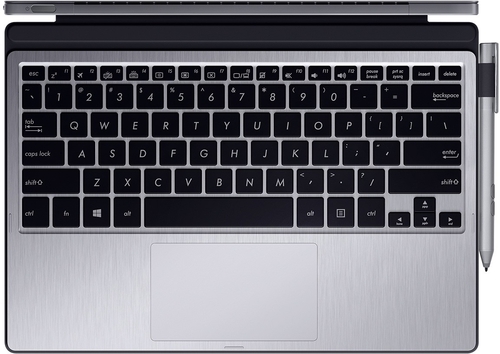 If we have to nit-pick then the battery life of the base station could have been better, the trackpad buttons are unusable and a backlit keyboard would have been a neat addition at this price. 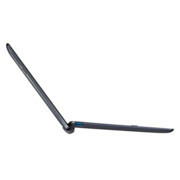 If you don’t fancy the detachable design then the Lenovo Ideapad Yoga 13 is another well spec’ed hybrid at this price. ASUS has an interesting product in the Transformer Book Trio, but it's hard to recommend something 'interesting' over something that's useful. Don't get us wrong, you can do a lot of stuff with the the Trio, but it's a product that feels messy in the way it works. For the most part, the only reason we used the Android tablet was because the PC Station ran out of battery power. 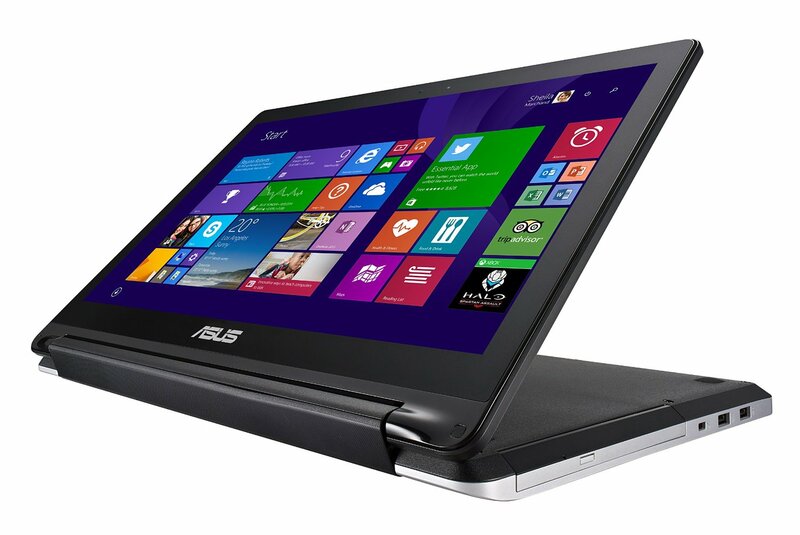 The Asus Transformer Book TX300 is a great example of a hybrid laptop/tablet. 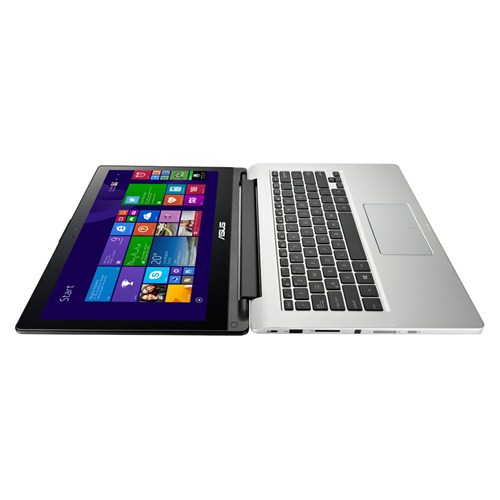 Once the screen is attached, it turns into a true laptop with a high-performance processor and an excellent display. And as a tablet it's perfectly honourable. 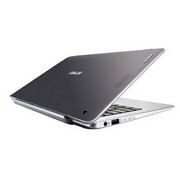 The biggest downsides: it's heavier and has less battery life than most ultrabooks. 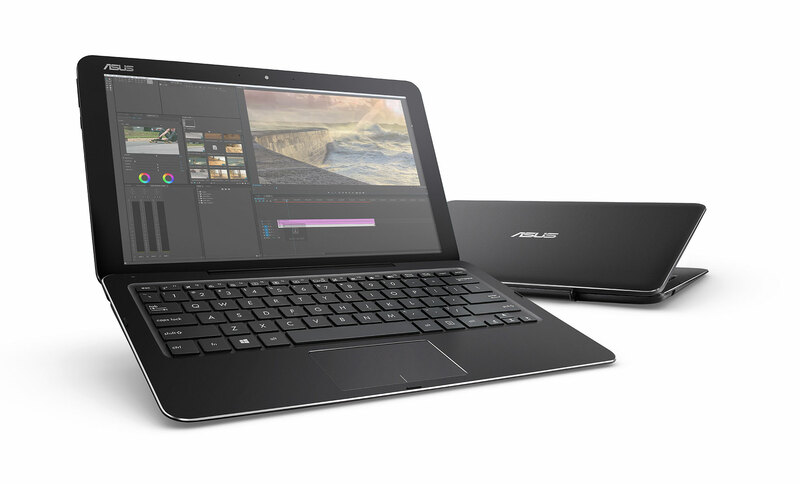 When it comes to laptop-meets-tablet devices Asus knows what it's doing. The latest Transformer Book T300 is proof of that - it's a super-high resolution Windows 8 device that, from what we've seen at the IFA electronics show, has the upper hand compared to many of its similar rivals. Полный привод. Четырёхъядерный процессор Atom - кошмар или реальность? Скорее всего, оба варианта верны. Но Атомы последнего поколения обзавелись обновленной архитектурой и неплохим графическим чипом с поддержкой DX 11, так что свежий планшет-трансформер от Asus представляет собой крайне интересную зверушку. ASUS Transformer Book T100TA показал себя как довольно оригинальный и универсальный девайс. С ним удобно и комфортно работать как в планшетном варианте, так и в ноутбучном. В первом варианте как нельзя кстати будет его малый вес и мобильность, благодаря которой можно заниматься веб-серфингом в течение длительного времени. С помощью подключаемой клавиатуры ASUS Transformer Book T100TA становится полноценным ноутбуком и способен выполнять все привычные функции, за это спасибо удобной, хоть и слишком компактной, клавиатуре и ОС Windows 8.1. 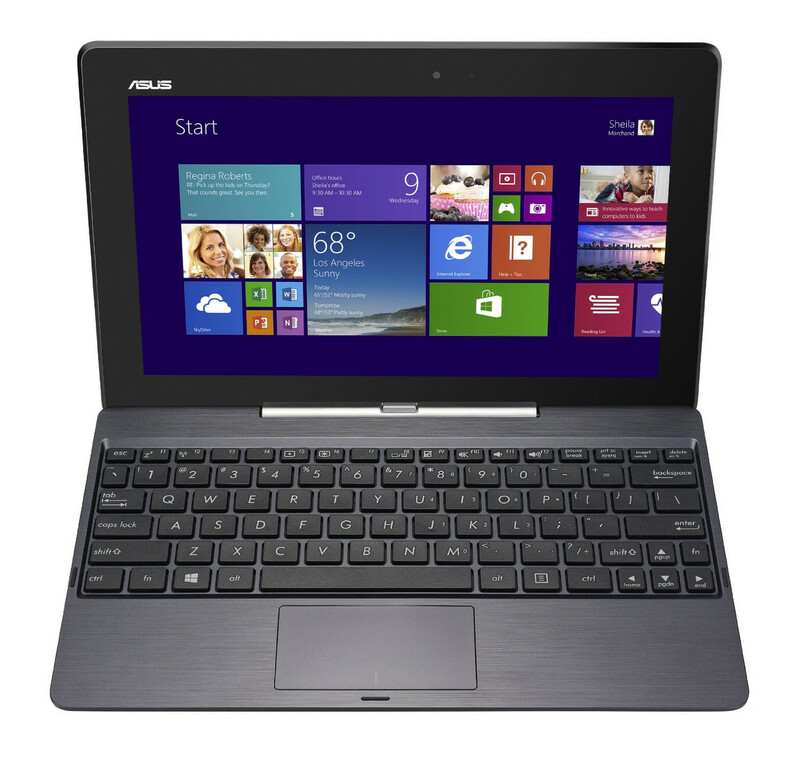 70% Asus Transformer Book T100TA / T100 review – netbook, reborn! If you're looking for a 10 inch tablet capable of running all your classic Windows applications, the Transformer Book T100 is one of the best offers for the money. It's not without flaws, but its' cheap and includes a keyboard, so there are plenty of reasons why you'd consider it. 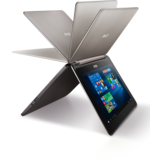 Asus have been pushing the hybrid tablet form factor for a while now and the shift from Android to Windows 8.1 on the Transformer Book T100T is positive. 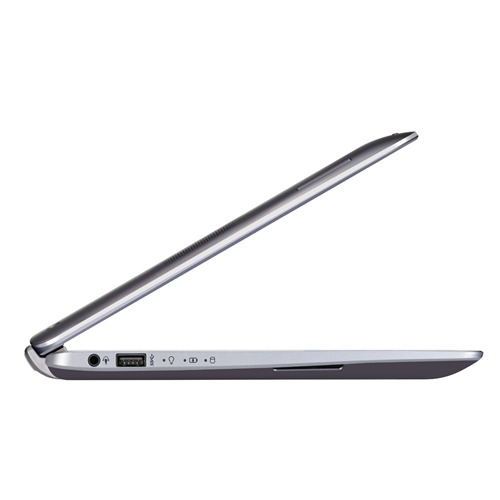 This operating system makes the T100T ideal for those users who are looking for a standalone device. In terms of its physical design, the T100T doesn’t exactly push the boundaries. The product would feel much more exclusive if it featured a metal chassis – the gloss plastic looks nice when you get it out of the box but it soon picks up marks and scratches. That said, considering the price of the T100T we cannot expect the highest levels of quality, especially with the inclusion of a keyboard dock. 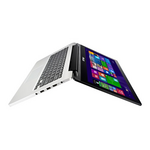 The 10.1-inch Transformer Book T100 is a well made and attractively priced hybrid Windows 8.1 tablet. 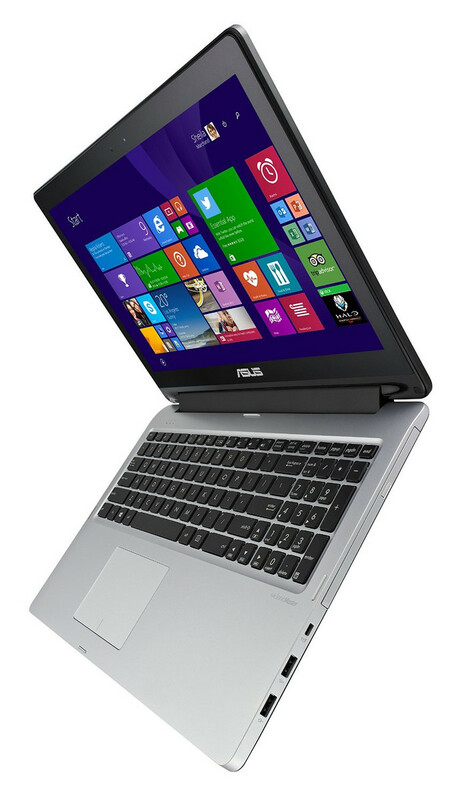 However, its moderate specification and small size make it difficult to recommend as your primary Windows device. With a latest-generation Intel Atom processor at its helm, the Transformer Book T100 is capable of supplying a swift and mostly enjoyable Windows 8.1 tablet experience. It still struggles with some tasks, such as high-quality Web streaming, which could be a deal-breaker if that's one of your main undertakings. 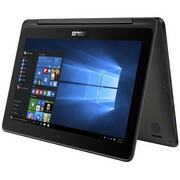 There may be a large number of convertible devices, instigated by Windows 8 and Windows 8.1, but The Transformer Book T100 sets itself apart with solid design, reasonable performance, and a low price. Furthermore, it is almost certain we will be seeing more of these 2-in-1 notebooks with detachable keyboards and touchscreens for the foreseeable future. 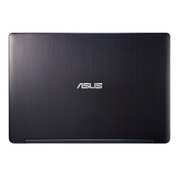 Asus has a slight upper hand because it was among the first companies to have offered such devices with above average performance at a reasonable price. 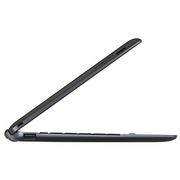 The Transformer Book T100 is also a device which has more pros than cons. 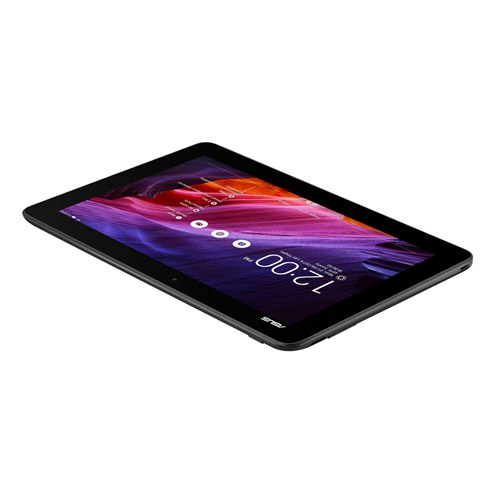 This tablet’s main advantages are its alluring price, great battery life, USB 3.0, a solid display with an impressively sustainable contrast, brightness and color vivacity despite its low resolution, as well as its smart software package which makes the device ready to perform all the tasks (more or less) which made one want to buy it in the first place. While Microsoft is still trying to convince everyone that Windows RT devices are the spiritual successors to the netbook, Intel has made its feelings clear – ARM isn’t welcome to a piece of the Windows action. 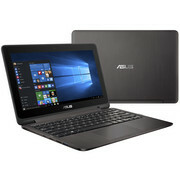 The new Atom platform delivers a dramatic performance increase – enough power for casual gaming – and the same great battery life, all at a price that has allowed Asus to sell the Transformer Book T100 for only $600. In our opinion, this represents the death knell for Windows RT. As for the T100 itself, it delivers everything you could ask for, and it’s ludicrously affordable. Snap one up while you can – we predict these will sell out fast. This is a machine that gets things done but doesn’t overly scrimp on play ’n ’procrastination points either, and that makes it a cracking all-rounder and an absolute bargain. Needless to say, it finds itself comfortably nestling into our Top 10 list of the best tablets in the world right now. 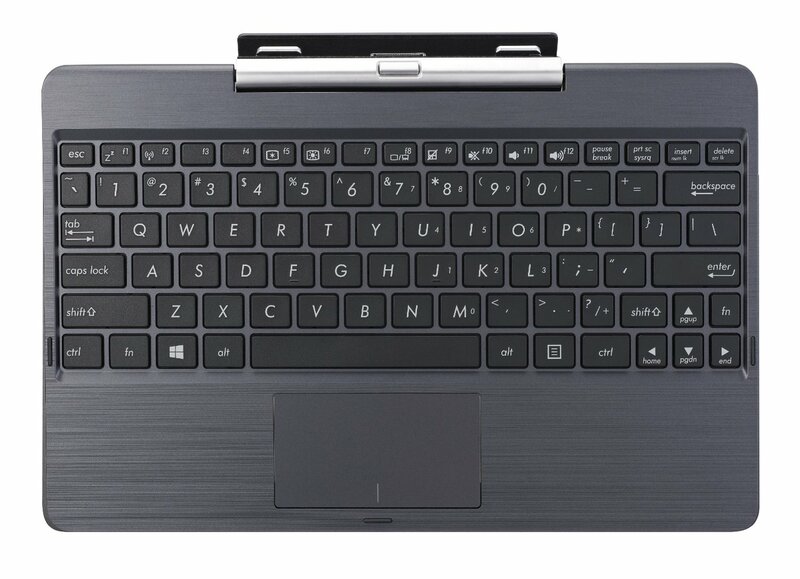 Pros: For under $500 you get a versatile Windows tablet and a decent keyboard dock for laptop-like functionality. Bay Trail delivers performance and battery life as good as competing ARM SoCs. Cons: A 1366x768 display doesn’t cut it anymore. Glossy design is a massive fingerprint magnet. 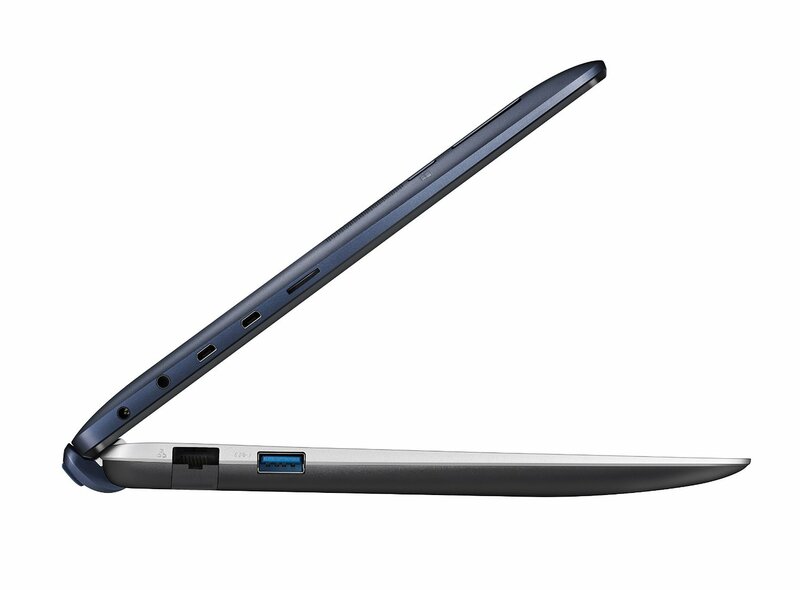 In its laptop form, the Transformer Book is reasonably heavy. This can be lighter than an Android Tablet, however it runs Windows 8.1. The transformer part is a near full size detachable keyboard so all your Windows programs should run and it comes with Microsoft Office installed. If you travel a lot then this is a very light unit. 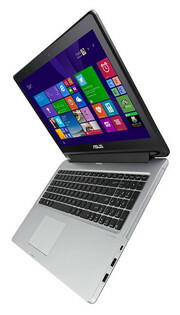 For a second PC it is ideal and remember most Windows programs should run without problem. 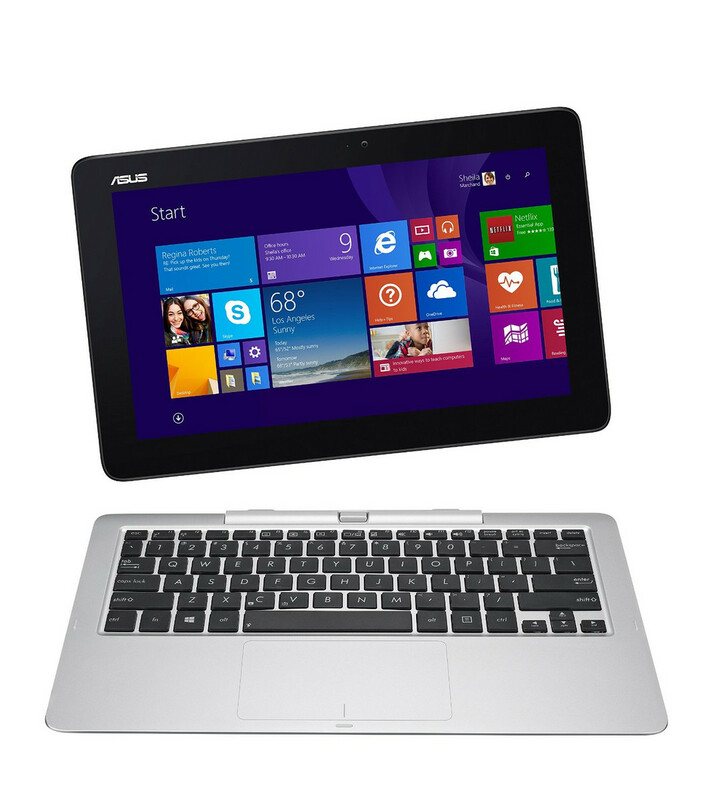 Gadgets like the Asus Transformer Book T100 mean you no longer have to choose between a tablet and a laptop - it's a fully functioning computer so your only choice is keyboard-on or keyboard-off. It's pretty lightweight, comparing well to a laptop with both parts assembled. And it performs well, and at length. On the flip side, the display really doesn't match others out there, so you may tire of its low resolution and average colour palette. And the keyboard is a disappointment in terms of build quality and usability, especially the creaky touchpad. 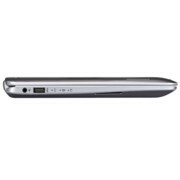 The T100 is also available in wi-fi only configuration, there's no 3G model. The Asus Transformer Book T100TA is kind of different for a hybrid. It has extremely low performance as a laptop (productivity and web browsing will be all you do on it), but excellent performance as a tablet. Considering the price, it would be a great choice as a standalone Windows 8 slate. 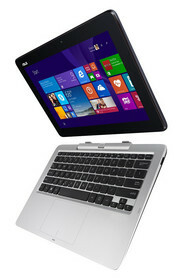 With so many outstanding features, the Asus Transformer T100TA has redefined what we should expect from a £350 laptop. With its improved Atom processor, great screen and long battery life, it sets a new standard for the budget touchscreen hybrid and deservedly wins a Budget Buy award. 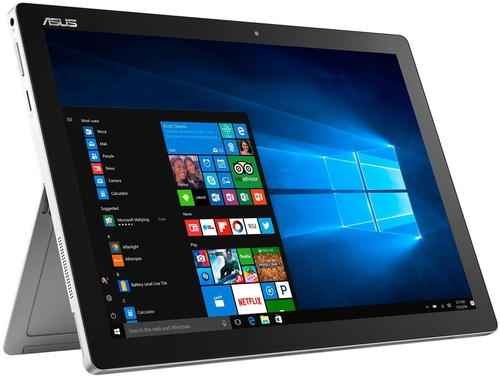 The Asus Transformer Book is almost a bargain considering how much less it will cost compared with Windows 8.1 convertibles such as Microsoft's Surface Pro 2 - but you have to make the purchase with realistic expectations to avoid disappointment. The device is certainly waving the flat for Windows 8.1 and opens up the OS to a wider audience by appealing to anyone looking for a laptop, tablet or combination of the two. It works well as both and succeeds in aiming for versatility. 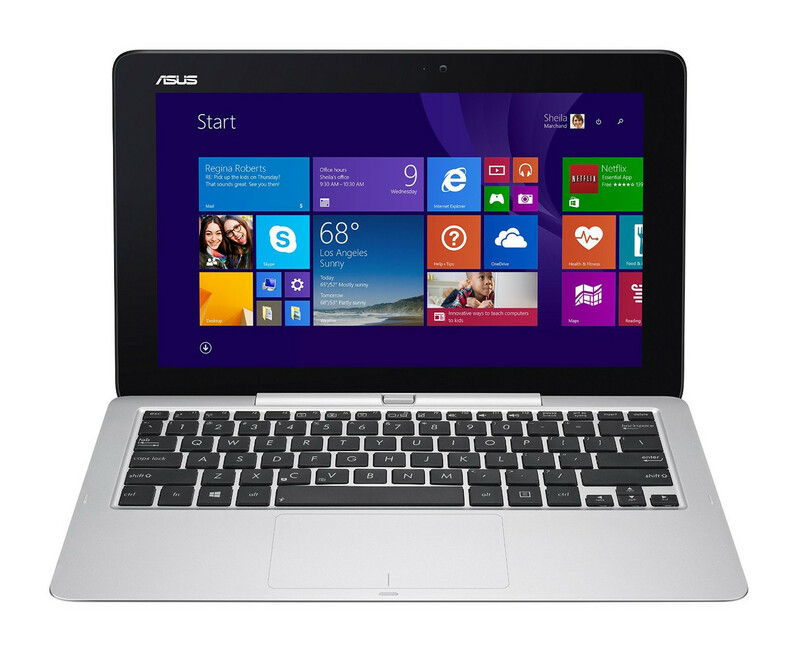 80% Review: Asus Transformer Book T100 – Windows 8 Tablet-Laptop Done Right! 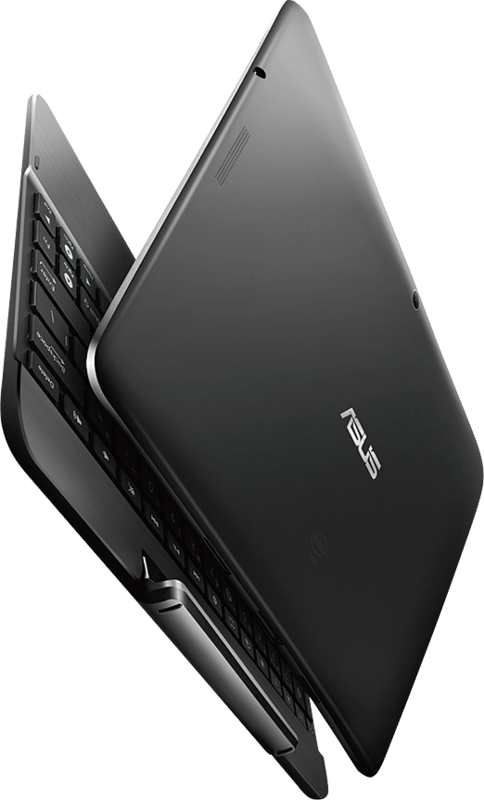 Netbooks fad went away, then came Chromebooks, which are a whole different deal and now netbooks are back for the Windows 8.1 era and ASUS Transformer Book T100 is the way to go! 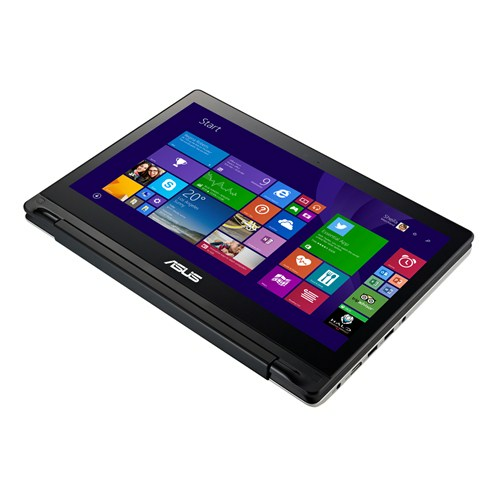 It’s got great performance for its class, is full blown Windows 8.1, a good screen and behaves well as a tablet too. 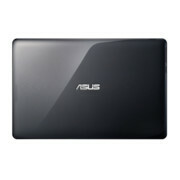 While the Rs 34,000 price isn’t expensive for such a device, it is Rs 10,000 more than in the netbook range. It is one device I’d heartily recommend to anyone looking for both a Tablet and Laptop. We wouldn't necessarily like the T100 if it weren't for its extraordinarily low price: It looks and feels like a netbook, with a tacky plastic shell, middling display and cramped keyboard. Still, it offers solid performance for the money, allowing you to run full Windows programs when some pricier tablets will only run apps from the Windows Store. While Microsoft is still trying to convince everyone that Windows RT devices are the spiritual successor to the netbook, Intel has made its feelings clear – ARM isn’t welcome to a piece of the Windows action. As for the Transformer Book T100 itself, it’s everything you could ask from a compact, go-anywhere hybrid, and it’s ludicrously affordable. Snap one up while you can – we predict these will sell out fast. 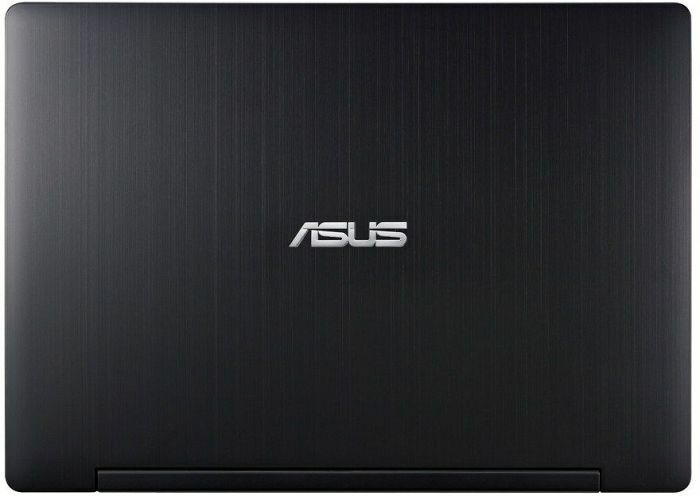 ASUS looks to be redefining the budget computing market by providing a very well rounded option for those that want to have a tablet that can also act as a laptop system with a full version of Windows for under $400. The system offers an experience very close to many low cost ultraportable systems but with more flexibility. That might seem an odd way to launch the conclusion of a review, but I think I need to start there to give my fair opinion on the Transformer Book. From the first Eee PC, through NVIDIA's Ion, and right up through Clover Trail, the very best I felt like Intel's Atom offered was "barely useful." 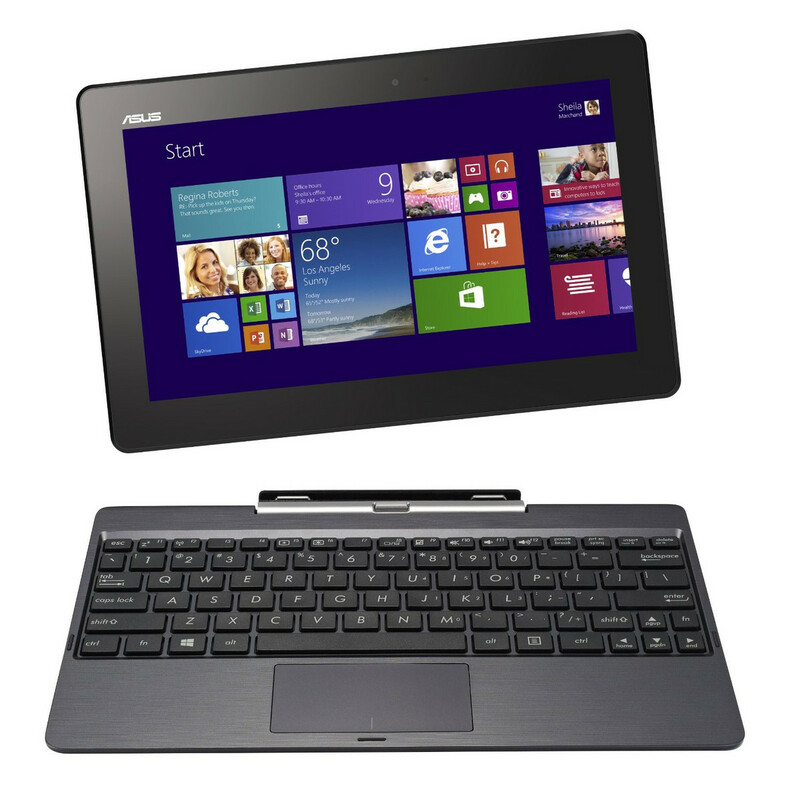 There’s a lot to like about the Asus Transformer Book T100. It’s small and cheap, gets long battery life, and offers decent performance whether you use it as a notebook or a tablet. It won’t be the best computer for everyone: The keyboard and touchpad are small, the screen resolution might be a bit too sharp when running apps that aren’t optimized for high-resolution screens, but it’s not as sharp as the screens on the latest iPads. The Asus Transformer Book T100TA is the first Atom-powered consumer PC that we can wholly endorse after the virtual death of the netbook after 2011. It's running a full version of Windows 8.1, so you won't give up any legacy programs, third-party browsers, or plug-ins that you've grown accustomed to over the years. It works all day in the touch-enabled tablet form factor that people have grown accustomed to since the rise of the tablet in 2010. 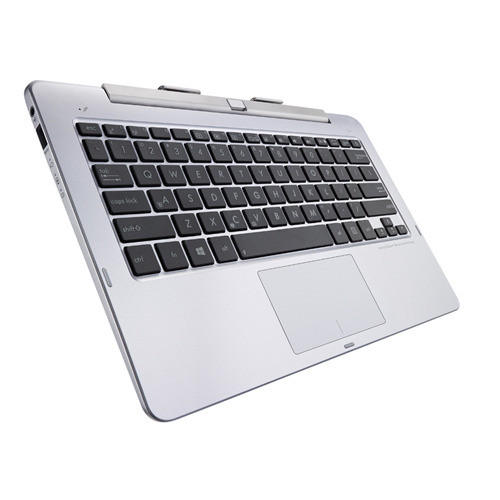 It also works in the traditional netbook/laptop form factor that we recommend for extended typing and work sessions. The Transformer Book T100TA trounces the Lenovo IdeaPad Miix 10, Acer Iconia W3, and even full-sized laptops like the Dell Inspiron 15 (I15RV-6190 BLK) on performance, features, and bang for the buck. 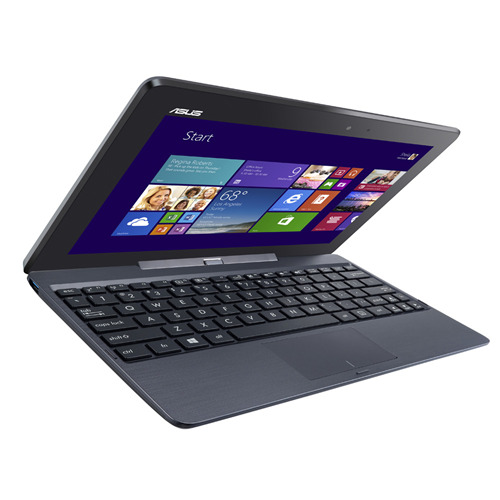 We’re really impressed with the Asus Transformer Book T100. Its 10.1-inch scale works well as either a tablet or a laptop, even if the keyboard does feel a little squeezed up on initial use. It’s something that we got over, though, and given how responsive and bright the touchscreen is you might find you only want to dabble in Windows with your fingers instead. In context to the rest of the market it's a real winner. 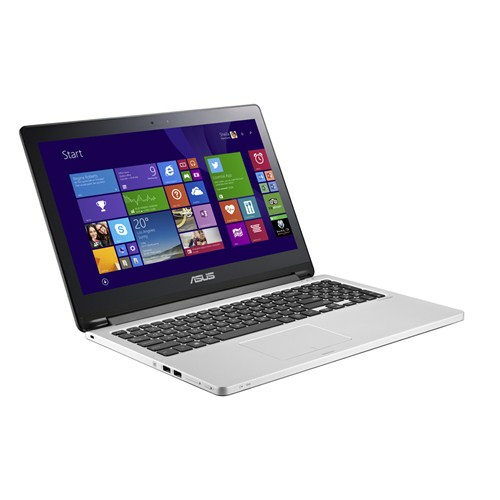 It might be a touch more cash than a Chromebook competitor, but the Asus has so much more to offer. We think it’s an excellent device and one not to be overlooked. 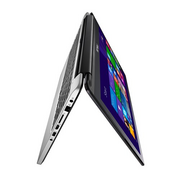 The Transformer Book is not without flaws, however. It feels like a $399 device, for starters—especially its stiff keyboard dock and flakey touchpad. But it’s hard to argue with the battery life and performance for the price. Lenovo makes a great keyboard, but it’s not $180 better. The tablet looks and feels like so many other slates. It’s a 10-inch slab of screen with a few ports and buttons on its edges. The buttons are hidden behind the curve of the tablet so you can’t see them when you look from the front. It makes for a clean look, but they can be tricky to find by feel. On the left side of the top edge, you’ll find the lock button. Moving around the corner to the left edge there’s a volume rocker and a start button. The Windows logo in the center of the bottom bezel does nothing. The 1366 x 768 resolution screen might not be Full HD, like the Nexus 7, but for this price point we think that's a fair enough compromise. The 32GB on-board eMMC storage also isn't a total knockout, but there's a microSD slot so you can add in an additional 64GB at minimal cost. 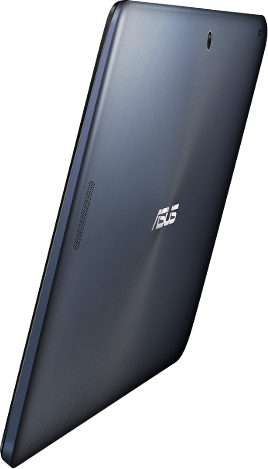 Well, Asus wants to drop your jaw. 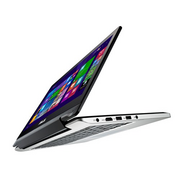 The new Transformer Book T100T is $399 including the keyboard. The people who brought you the netbook bring you its 2013 equivalent—a $399 mini laptop/detachable tablet with a 10.1-inch touch screen and 11-hour battery life. 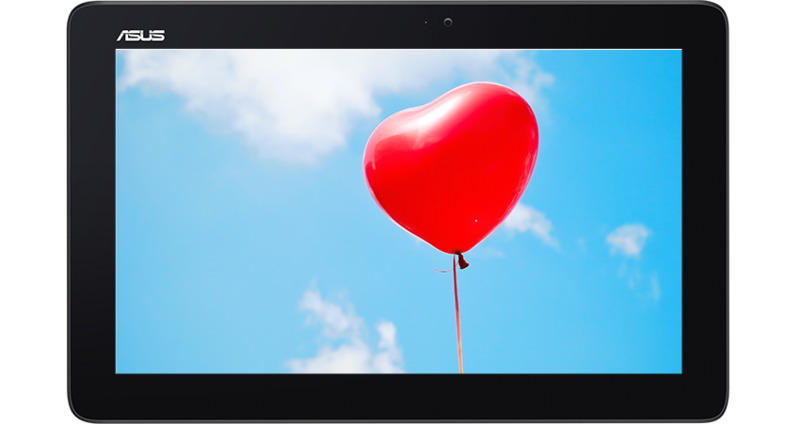 With Windows 8.1 and Microsoft Office preinstalled, it shoots to the top of our list of tablet values. The ASUS Transformer Book T100 is one of the better bargains in tech today. For a starting price $150 less than Microsoft's Surface 2 -- which doesn't come with a keyboard and runs the stripped down Windows RT OS -- you get full Windows 8.1, a keyboard dock, more than 12 hours of battery life and Microsoft Office. 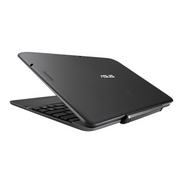 Despite its few flaws, the Asus Transformer T100 is a capable tablet and laptop. It won’t win any performance crowns compared to more capable processors in its Core i3, i5 and i7 bigger brothers but it is definitely a more welcome improvement over the netbooks we used to chastise for their sluggish processors and overall experiences. Were it not for the clunky touchpad, the T100 would have been perfect. 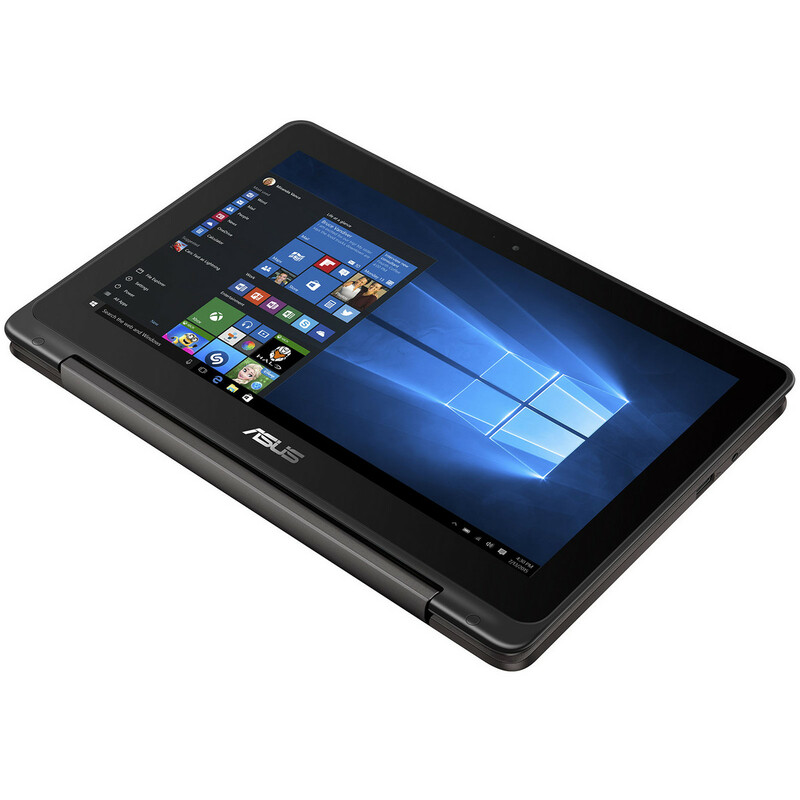 The T100 is a serious contender for the budget laptop and tablet market and at only AED 1699 for the 64GB version, it could start a new trend of affordable Windows based tablets just like how Asus started the netbook craze a few years back. Возможность отцепить от полноценного ноутбука клавиатуру и использовать его как планшет выручала нас как в городе, так и в автомобиле. При этом в процессе повседневного использования всплывают очень неожиданные приятные моменты, на которые мы вряд ли обратили бы внимание во время тестирования, — например, что T300 не перегревается на любых поверхностях или что T100 отлично подходит для старых, но многими до сих пор любимых стратегий. В том числе и без клавиатуры. Главное, что устройства одинаково хорошо справляются и с планшетными, и с ноутбучными задачами. С их помощью удобно общаться по «Скайпу», писать тексты, редактировать видеоролики, искать что-нибудь в Интернете, играть и делать все то, что вы обычно делаете с планшетом и ноутбуком. Конечно, T100 и T300 весят больше, чем ноутбуки с той же диагональю, но точно меньше, чем ноутбук и планшет вместе. А позволяют сделать ровно столько же. Стоит новинка 17 990 рублей, это цена за версию с 64 ГБ памяти и док-станцией. Вполне логично, что планшет не продается без нее, тогда бы терялась суть устройства. Мне не понравился дизайн устройства, такое ощущение, что две части гибрида разрабатывали разные команды. Блок с клавиатурой выполнен из более приятного материала и смотрится лучше, чем верхняя глянцевая половинка. Сама по себе клавиатура носит компромиссный характер: кнопки небольшие, приходится привыкать к ним, особенно если был продолжительный опыт работы за ноутбуком. Экран здесь достаточно тусклый, так что на улице будут проблемы, хотя вряд ли кто-то будет сидеть с устройством на лавочке под прямыми лучами солнца. При работе легко заметить, как продавливается клавиатурный блок, ему не хватает жесткости. Сам по себе он получился не особо удобным, клавиатура небольшая. Планшет лишен USB-порта, он есть в клавиатурном доке, но и то там только один разъем, в случае необходимости не обойтись без переходника. While Microsoft is still trying to convince everyone that Windows RT devices are the spiritual successor to the netbook, Intel has made its feelings clear – ARM isn’t welcome to a piece of the Windows action. 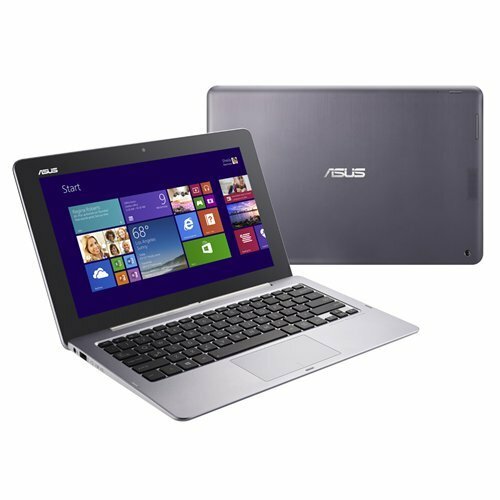 The new Atom platform delivers a dramatic performance increase, enough power for casual gaming and the same great battery life, all at a price point that’s allowed Asus to sell the Transformer Book T100 for only £349. In our opinion, this is the death knell for Windows RT. As for the Transformer Book T100 itself, it’s everything you could ask from a compact, go-anywhere hybrid, and it’s ludicrously affordable. Snap one up while you can – we predict these will sell out fast. 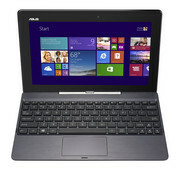 Granted, it is now possible to pick the T100 up for around £280, which makes it sound like even more of a bargain, but we'd exercise caution before reaching for the credit card: it's got some serious competition on its hands from the increasing number of low-cost Windows 8.1 tablets hitting the market. And when we say low-cost, we're not kidding: it's now possible to buy a competent Windows tablet for under £100. Not completely convinced? Well, the bundled year's subcription to Office 365 Personal and 1TB of Onedrive cloud storage just might tip you over the edge. In our last Transformer review we said its design was getting a bit musty. However, that was an Android tablet. 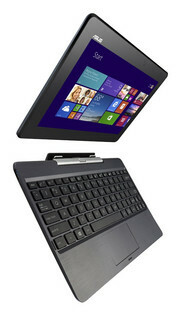 And a low-cost hybrid like this is just what the Windows 8 tablet market needs. 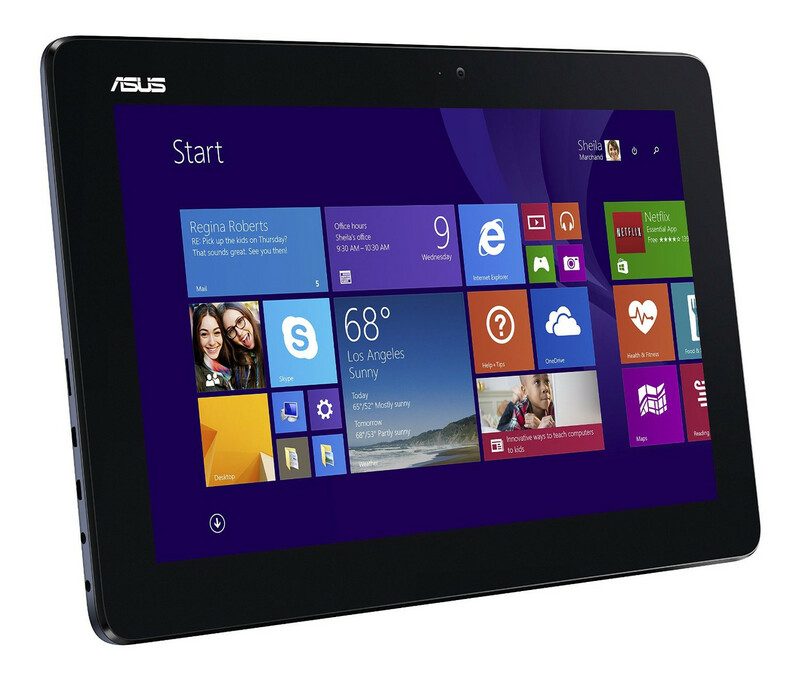 The Asus Transformer Book T100 feels like a necessary maturing of the budget Windows tablet. It’s practical, pretty powerful, has a half-decent screen and its flexible design mitigates the lack of games and apps designed for Windows tablets – compared to Android and iOS tablets. This is not an iPad killer, or even a rival to the Surface Pro 2. But at £349 it is a compelling deal. The Asus Transformer Book T100T is a compact device that offers true functionality and decent performance. And it is a truly portable office PC. Much more updated netbook than desirable gadget, students, school children, home PC users and office road warriors could easily spend more and get less. 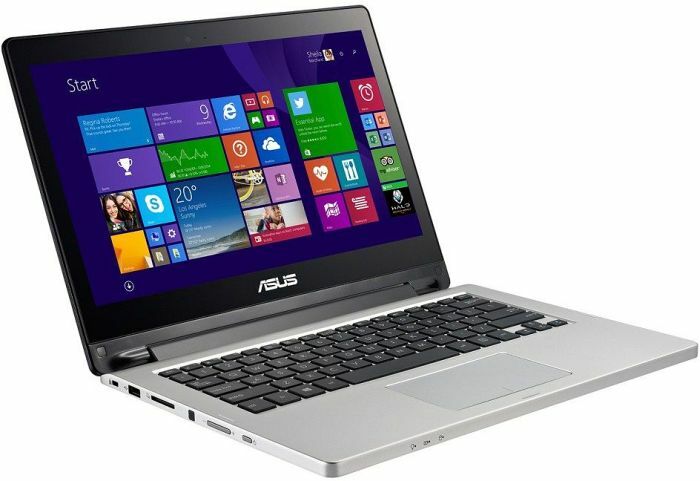 80% Asus Transformer Book T100 - Recensione! Симбиоз. Что будет, если взять все лучшее от нетбука, ноутбука и планшета? Маленькое, лёгкое и производительное устройство. Примерно так и можно охарактеризовать модель Transformer Book Trio TX201LA. Надеемся, слово «шедевр», не будет истолковано превратно в отношении ASUS Transformer Book Trio. На самом деле, это гибридное устройство заслуживает, как минимум, похвалы, ведь это не просто одна из многих современных разработок, а действительно образец, на который стоит равняться другим производителям трансформеров. Приятно, что в нем производителям удалось совместить не только форм-факторы, но и операционные системы, что, несомненно, не сможет не остаться без внимания. Что же мы имеем в конечном счете: устройство «три в одном» для работы и развлечений, где в каждом не только своя производительная начинка, отличная функциональность, хорошая автономность и эргономика, но и оптимальные возможности подключений. Вряд ли найдется тот, кого трансформер Book Trio TX201LA совсем не заинтересует, а его стоимость порядка $1200 покажется неоправданно высокой. 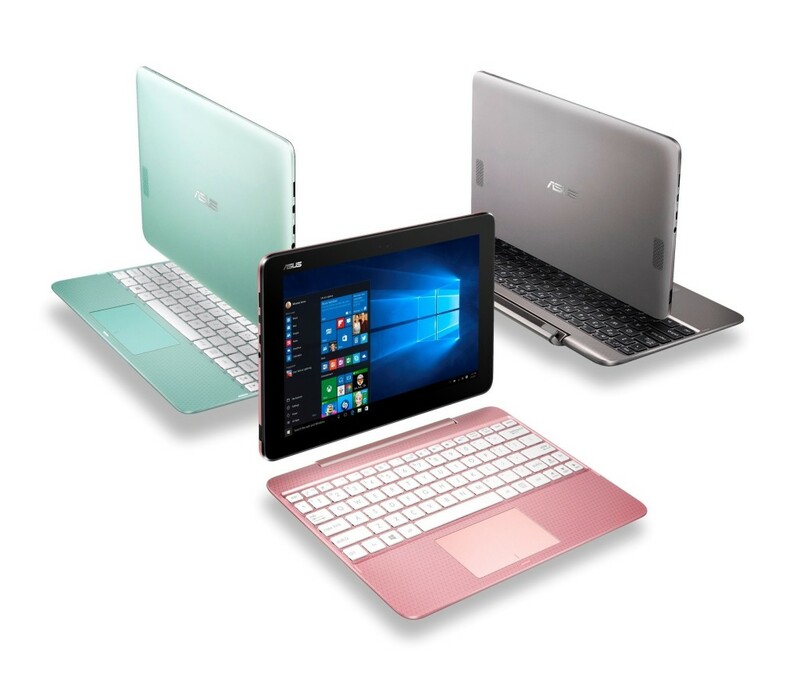 The Asus Transformer Book Trio presents a collection of contradictions. 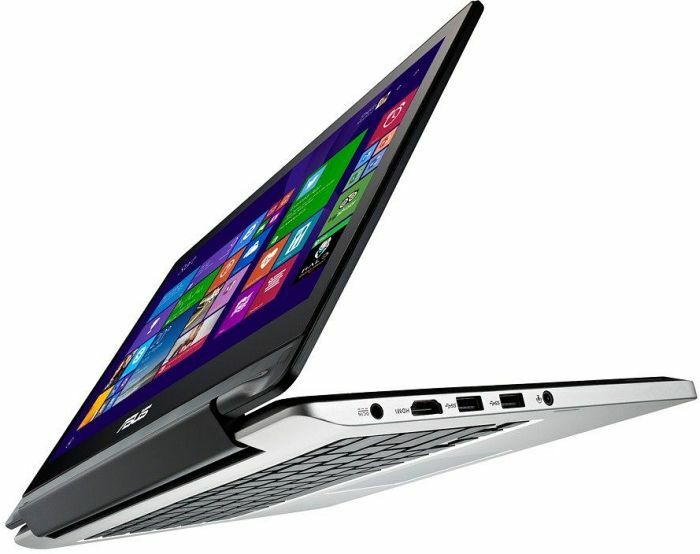 The laptop and tablet performance, taken separately, are actually very good, while the marriage of two separate devices and operating systems provides clever solutions to several unique technical problems. This combining of devices and operating systems is riddled with problems, however, from the kludgy approach to file sharing to booting problems and power issues when switching between tablet and laptop. In the end, the problematic design and very high price outweigh the benefits offered by the otherwise decent performance of the Transformer Book Trio in either laptop or tablet mode. As a versatile piece of hardware, the Asus Transformer Book Trio is impressively well designed. 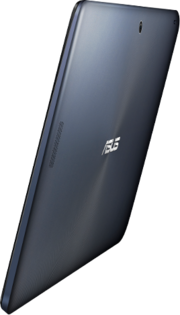 Asus has crafted an attractive device that runs both Windows for (mostly) productivity and Android for media consumption and apps. And the two operating systems play pretty well side by side. But the device is also relatively heavy, and its battery life is disappointing, especially for the tablet alone. 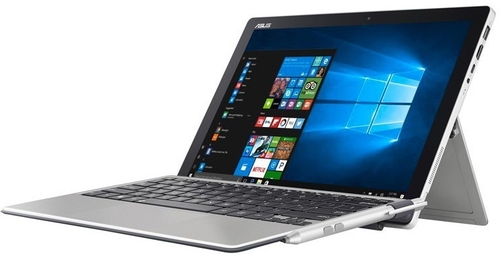 The Asus Transformer Book T300 is the best laptop/tablet hybrid we've reviewed to date! Whether in tablet or laptop mode, it met all of our expectations (with the exception, naturally, of gaming), and has an ace screen and long-lasting battery to boot. Our only real complaint is the skimpy connectivity. There are a few awkward parts to the Asus Transformer Book Duet TD300. 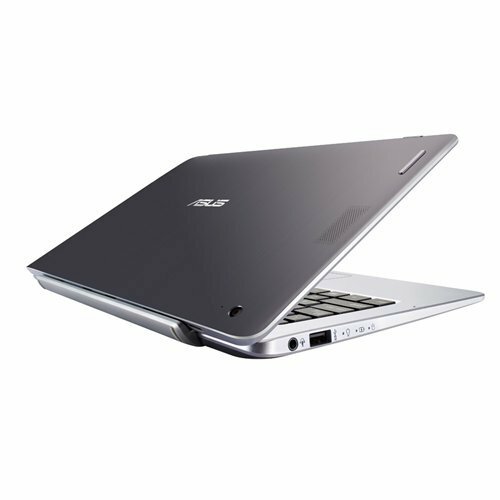 Its headline price doesn't reflect the version of the product we'd want to own, and even at its full spec it won't feel as impressive as an aluminium or magnesium Ultrabook. However, the ease with which the TD300 switches between Android and Windows is impressive. And while many will dismiss this as a solution to a non-existent problem, the idea of being able to take off your laptop's screen to watch or play on the sofa or in bed isn't a bad one. 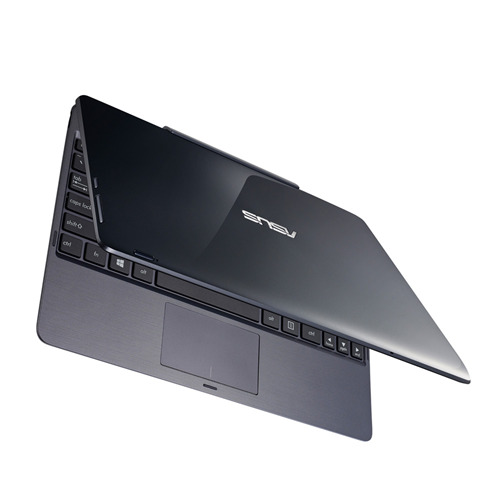 As if a two-in-one wasn't enough, Asus has gone down the road of "four-in-one" with the Transformer Book Duet TD300. Part laptop, part tablet, all Windows 8.1 and all Android - is it the ultimate device without compromise or a confused take on the multiples concept? While an intriguing concept, the Trio feels like a computer suffering an identity crisis, and it’s just a little confusing why you’d want both Android and Windows in a laptop together, because you don’t really need both in the same body. If you use Windows 8 apps on a tablet, chances are you’re less likely to rely on an Android tablet, and vice versa. Android tablets are also relatively inexpensive, and while the $1599 price isn’t terrible for the Transformer, it’s not a fantastic price for an 11 inch computer that just so happens to bundle two products into the one form-factor. The £900 price tag seems a lot, but it’s not bad for three devices in one. Neither the desktop PC, laptop or tablet are outstanding on their own, but as a three-in-one package, the Transformer Book Trio makes a decent triple threat. While the concept of the Transformer Book Trio TX201LA is nominally more convenient than carting around a Core i5 laptop and 11.6in tablet, its weight negates that advantage. There’s no price saving either, even though the two parts are sharing a screen. I’d rather pick out a laptop to run Windows and a separate tablet for Android. Asus pulled it off and fused three products into one unique device that costs the price of an entry-level ultrabook. However, just because we gave it five stars doesn't mean it's absolutely perfect: it could use an SSD and better intercommunication between the two systems... But for a first attempt, it's a definite win! At £900, the Asus Transformer Book Trio TX201LA might seem overpriced, but you’re getting two products in one device for the price of one laptop. Neither device is particularly exceptional on its own, but the combination of the two makes this one of the best value hybrids available. As a concept, we can see some appeal in the Transformer Book Trio TX201LA. The hardware is well designed, the display is excellent, and the fact that the Android and Windows halves of the device work entirely independently raises some interesting possibilities. However, there's a glaring issue, namely that this is neither an outstanding Windows laptop nor a great Android tablet – and, at £900, it simply isn't affordable enough for us to forgive its flaws. So, does three into one go? Pretty much, yes. Having a fully functional Android tablet and a Windows 8.1 PC in one package and both with a fine 1080p display certainly has its attractions. Cough up a few hundred quid for a monitor and it becomes an even more flexible package. There are a few slightly rough edges, like the wonky file sharing hotspot and the absence of a keyboard backlight on the cheaper i5 machines. And the batteries could be little more beefy. But there’s no denying that with one of these in your backpack you have got all the bases covered for work or play or anything in between. Что мы получили в результате обзора и тестирования ASUS Transformer Book Trio TX201L. По своим техническим показателям перед нами ноутбук офисной и мультимедийной направленности. Но между прочим, это уникальный аппарат, ведь он один такой. Надо сказать, что на Яндекс.Маркете ASUS Transformer Book Trio TX201L появился буквально вчера-позавчера, и чтобы четко позиционировать данное устройство Яндекс.Маркету пришлось дорабатывать свой интерфейс, добавлять отдельным пунктом: Операционная система > Win 8/Android. 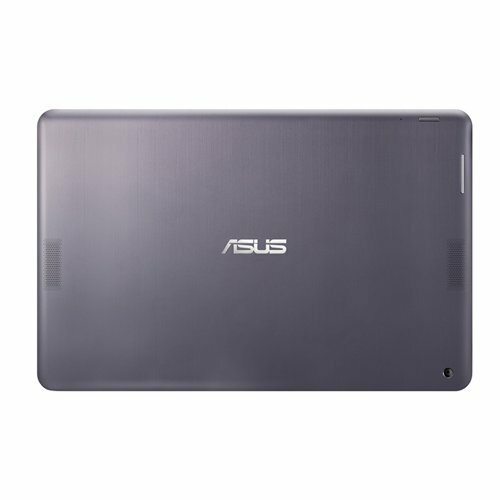 И в этом разделе ASUS Transformer Book Trio TX201L единственный. ASUS Transformer Book T300LA является необычным решением ноутбучного сегмента, – эдакое средство 2-в-1. Данное устройство сочетает в себе функции ноутбука и планшета, что, по идее, дает пользователю больше возможностей. Но на деле получается не совсем так: планшетная часть достаточно тяжелая, поэтому использовать ее самостоятельно долго не выйдет. Вот и получается, что основное предназначение данного гаджета – служить все-таки в качестве лэптопа. В конечном счете ASUS Transformer Book T300LA однозначно привлекает своей ценой. При хорошей производительности (для трансформера), долгом времени работы без подзарядки автономности и отличном экране, этот лэптоп с отстёгивающейся клавиатурой стоит не сильно больше 30 000 рублей. При этом на рынке аналогичные устройства с диагональю 13 дюймов и разрешением Full HD оцениваются ощутимо больше: ASUS TX300CA — от 38 000 рублей, HP Spectre x2 — от 44 000 и т.п. ASUS T300LA поможет вам сэкономить по меньшей мере несколько тысяч рублей, но не станет компромиссным решением. И поэтому мы присуждаем ему награду «Удачная покупка». Возвращение Трансформера. Планшет под управлением Android, дополненный клавиатурой - это мощное оружие. TF103C стоит немногим более 10 тысяч рублей, и за эти деньги пользователь получает надежного и долговечного спутника на каждый день. Нельзя сказать, что данный трансформер от ASUS получился слишком дорогим, исходя из стоимости, не превышающей $280. Учитывая наличие современного четырехъядерного процессора Intel Atom Z3745 и того, что планшетная часть дополняется док-клавиатурой, ценник получается оправданным. В то же время, купив ASUS Transformer Pad TF103C, пользователь вправе рассчитывать на многое. Здесь же на фоне хорошей яркости и контрастности, невысокое разрешение дисплея, да и объем ОЗУ 1 ГБ сейчас уже не настолько актуален, как год-два назад. Что касается камер, то 0.3 Мп для фронтальной еще ничего, тогда как 2 Мп для основной ничтожно мало. В общем, как ни крути, а от данного гибрида осталось двоякое впечатление, поэтому, к сожалению, нельзя с полной уверенностью сказать, что трансформер ASUS TF103C – это оптимальный вариант на сегодняшний день. ASUS Transformer Pad TF103C is the ideal Tablet PC for students, writers, and anyone who needs a keyboard one-the-go. Can transform itself from a plain tablet to a useful laptop to use everywhere is needed. TF103C is in preorder state at Gearbest till October 27th, but still if you use our coupon GB9%, you will be able to preorder it at a lower price and for only $191.03 can be yours! The Asus Transformer Pad TF103C with its keyboard dock is competitively priced with excellent performance, but its display is a let-down. 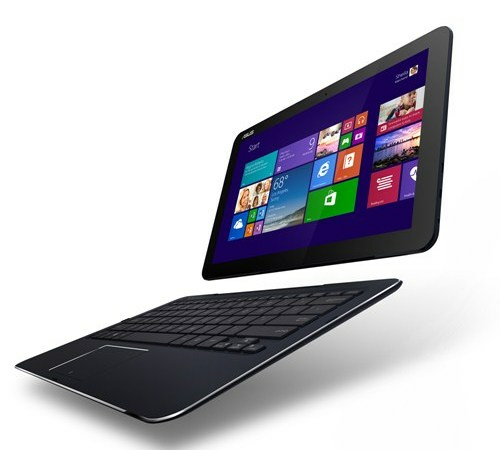 If productivity is your real priority, a Windows 8.1 tablet might be a better choice, such as the Schenker Element, which has a keyboard integrated into its case. 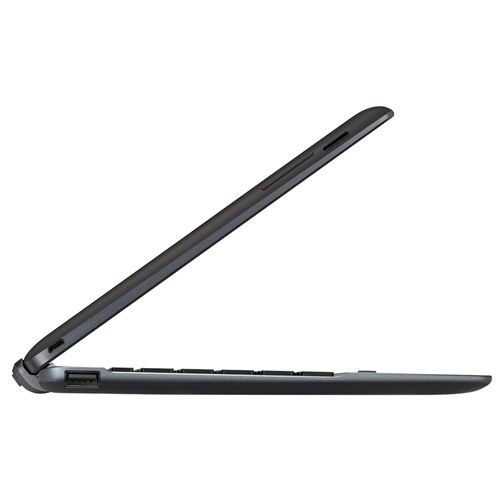 While if a laptop running Android appeals then check out the HP Slatebook. The Asus Transformer Pad TF103 is a very low-cost hybrid tablet that scrapes off all the fancy extras often seen in tablets to offer something cheap enough to work as a complement to a main laptop. As a result it’s pretty attractive. However, both of its sides end up feeling a bit compromised. 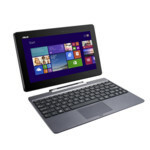 The frame is a little too small to offer typing that doesn’t feel a bit cramped, and if productivity is your main aim, we’d suggest considering one of the great Windows-based alternatives such as the Asus T100 or T200. If you can deal with using Android as your daily computer OS, the latest Transformer Pad could be just the ticket for you, as its decent keyboard, low pricing and handy software smarts make it a good budget bet - we're just not totally sold on using Android every day as a PC. 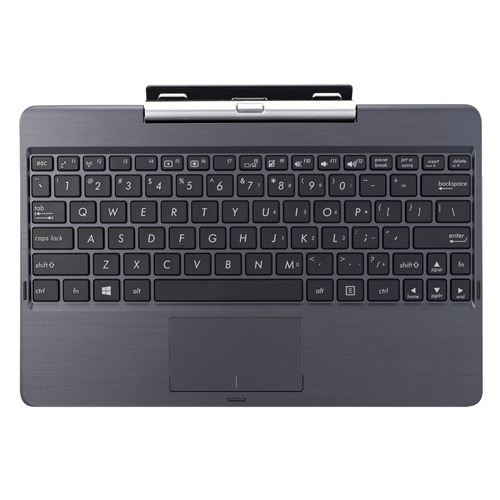 The TF103C is a very good Android tablet and the included keyboard and touchpad come in handy when you want to type up a long email or work assignment. 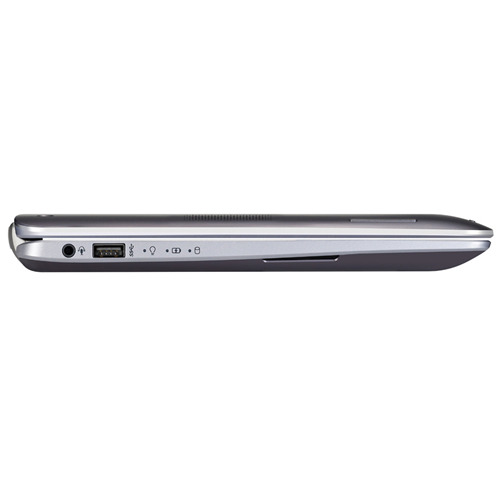 The full-size USB port built into the keyboard is also handy for importing files to your Android tablet. However, we hesitate to recommend the TF103C to anyone looking for a cheap laptop because many people who want a laptop expect to multitask with multiple apps open on screen at the same time. 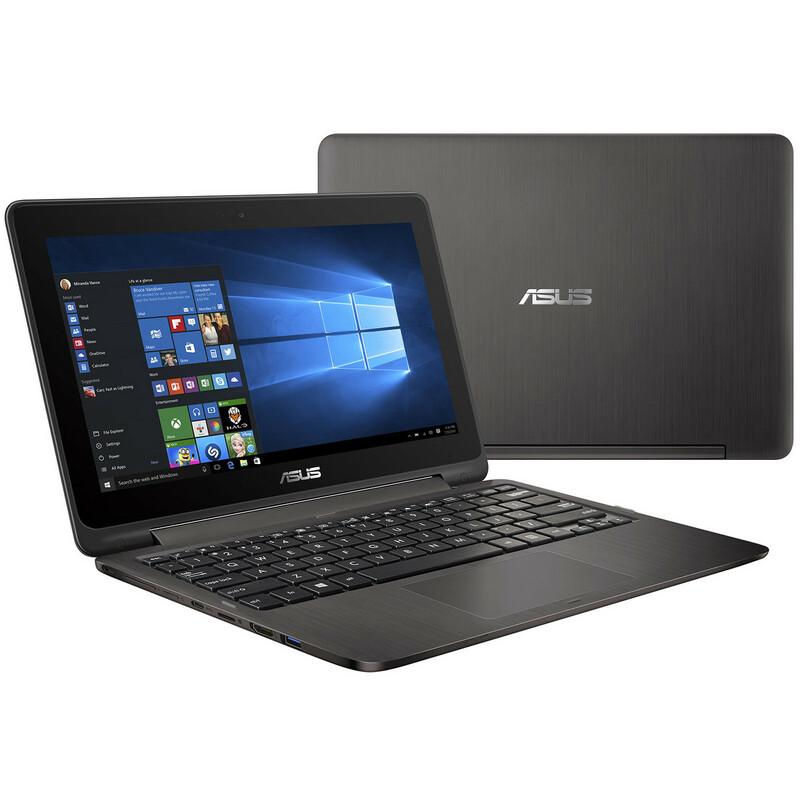 I wrote this review on an Asus Windows-based laptop with both Microsoft Word, notepad and Firefox open on the screen at the same time while I switched back and forth between applications and multiple browser tabs. There’s no way I could have done the same thing with the TF103C. Although it's far from a powerhouse, I was extremely pleased with the TF103. Its failings are minor, while its best points are striking: a big, bright screen, decent sound and the versatility offered by the removable keyboard, all for a very reasonable price. That said, unless you're desperate to get a keyboard with your tablet, there are better keyboard-less offerings on the market. 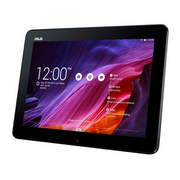 Until now, if we’d been asked to recommend a budget tablet, we’d have plumped for the Nexus 7 without a second thought, but the Asus Transformer Pad TF103C has given us another option. For fans of large-screened tablets who might want to do a touch of work on the move, its performance, display quality and usable keyboard make it a worthy alternative. Just like the Asus MeMO Pad 8, the Transformer Pad TF103C is a surprisingly speedy tablet and a reasonably low price tag. 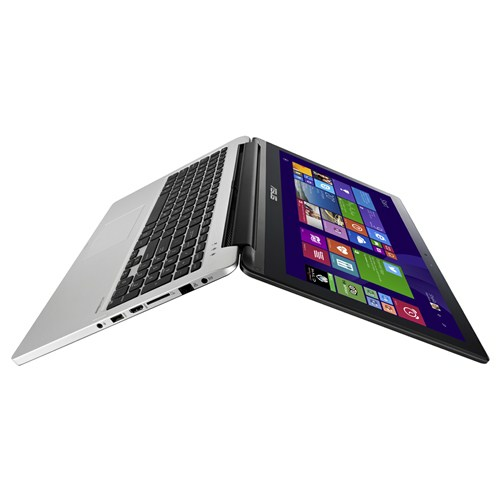 It just happens to be larger… and it comes with e keyboard. Whether this tablet is worth buying depends on how much you want a bigger screen and a keyboard. 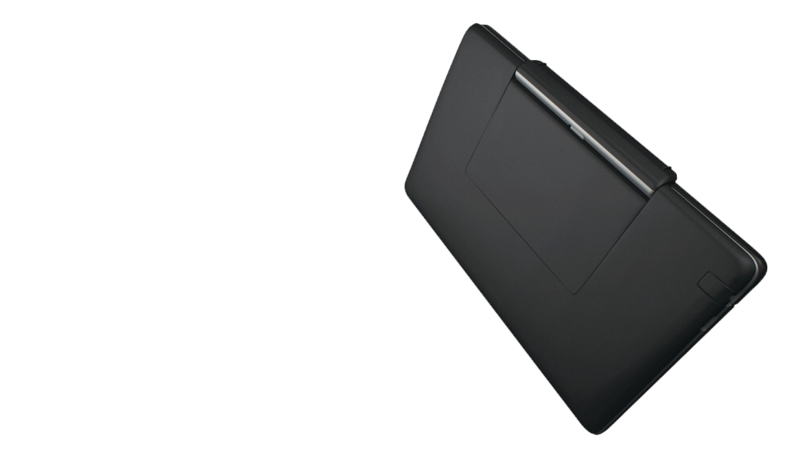 The Transformer Pad TF103C is an excellent companion tablet, with the potential to be a useful tool if you can find solid Android versions of your favorite productivity software. 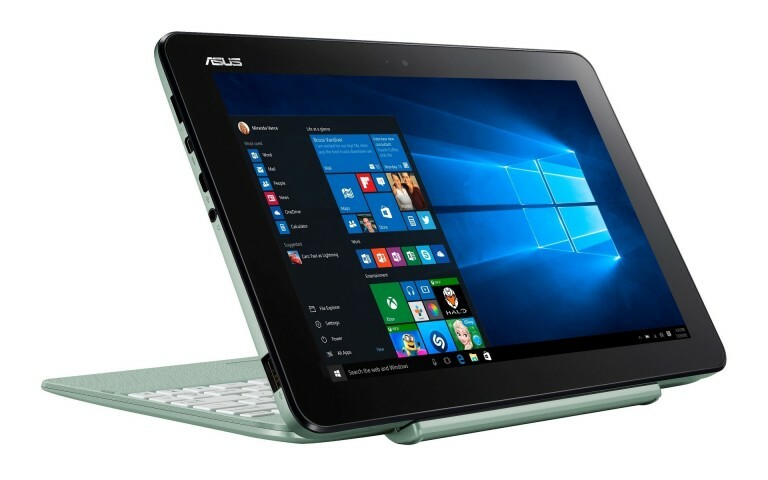 But dyed-in-the-wool Windows users will be much happier with Asus’s Transformer Book T100, which is street-priced just $40 higher (for the 32GB model; the 64GB model is going for $375). Given the $429 price point, there are probably better tablets you could find without the keyboard, and we’d probably look at these, factoring an extra hundred or so for a decent set of keys. If this is a must-hit price, fine, but once again, we’d probably see if anything else fits the bill, because with less expensive and better performing Chromebooks out there, as well as more capable tablets without keyboards, we’ve probably choose those instead. As far as budget tablet options go, people have quite a few. Seven and ten inch bodies alike have been out for a while, and so it’s not as if it’s hard to find something for a price point, but packaged with a physical keyboard, well that’s a different story altogether. 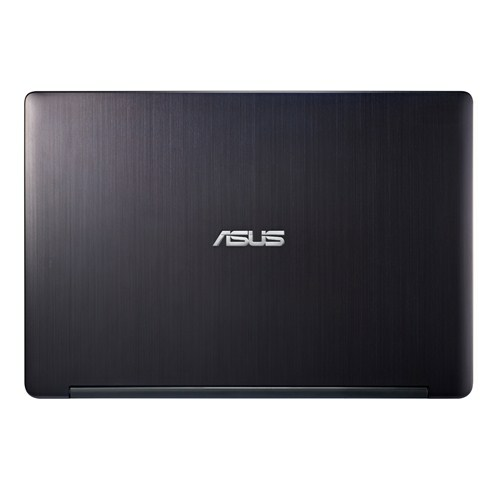 But while the Asus Transformer does manage to provide the combo for a price point, it’s not the best you can get, not by a long shot. 60% Asus Transformer Pad TF103 review. 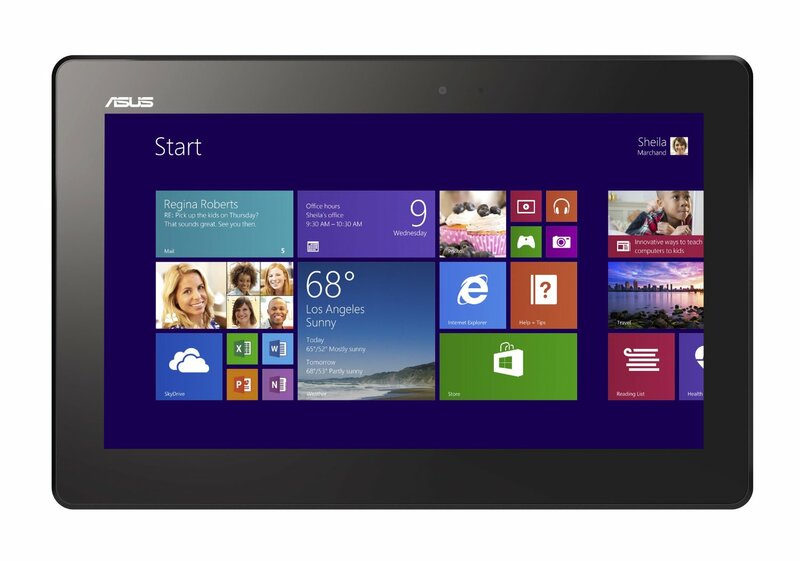 As a budget tablet, the ASUS Transformer Pad TF103C hits many of the right notes. For $299, it offers a vivid 1280 x 800 touch screen, loud audio, solid Intel Atom performance and, most importantly, a clamshell keyboard dock. The fact that it runs Android 4.4 KitKat is a major plus as well. 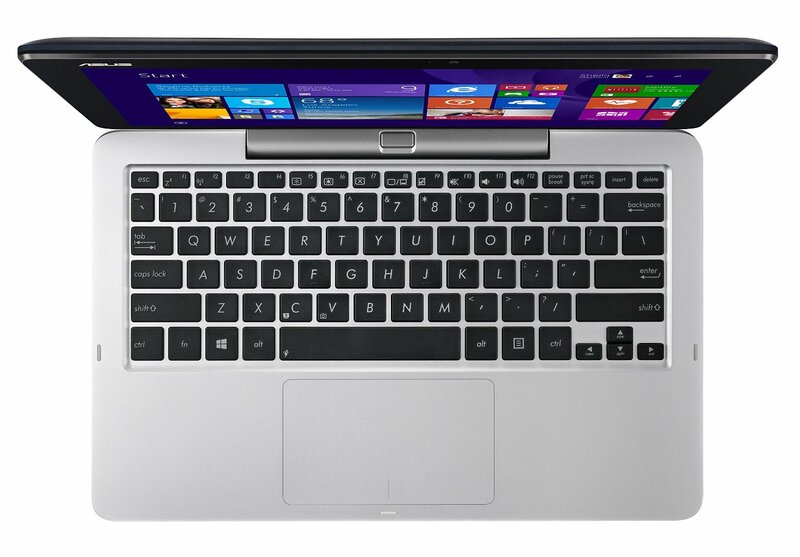 However, the keyboard feels cramped, and the touchpad is uncomfortably stiff. Around back is a 2-megapixel camera, complemented by a 0.3-megpaixel front-facing camera. They're useful for apps that require one, and the front-facing sensor at least makes video chats possible, but neither should be relied upon for any critical photography. Images are overly noisy, devoid of detail, and suffer from exposure and white balance issues. Video tops out at 720p and looks similarly subpar. Until now, if we had been asked to recommend a budget tablet, we'd have plumped for the Nexus 7 straight away, but the Asus Transformer Pad TF103C has given us another option. For fans of large-screened tablets who might want to do a touch of work on the move, its performance, display quality and usable keyboard make it a worthy alternative. ASUS Transformer Book T100TA получился сбалансированным устройством и может стать удачной покупкой, если вы ищете себе планшет с полноценной Windows 8 и незаоблачной ценой. Ключевую роль здесь, конечно, сыграет возможность установить любую программу из привычного вам Windows-окружения. 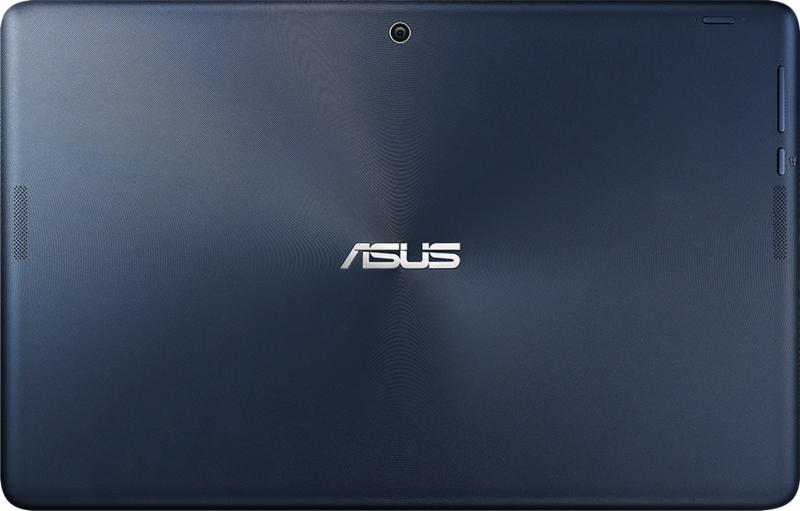 Определенно сильной чертой ASUS T100TA является его способность долгое время трудиться в автономном режиме. Также к положительным качествам планшета можно отнести небольшой вес и наличие в комплекте клавиатуры. 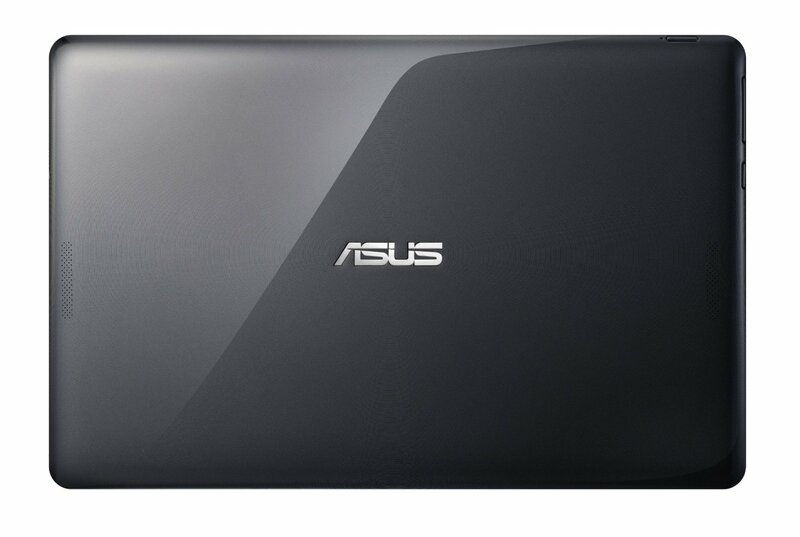 И дисплей у ASUS T100TA куда лучше, чем у нетбуков: по светимости и цветопередаче не хватает звезд с неба, но зато обладает широкими углами обзора и вполне сносной отображаемой картинкой. The bottom line is that you can’t have everything in life or electronics; if you want to have to most compact, full-featured Windows laptop with great battery life at a low price then the Transformer Book T100 is your best choice. 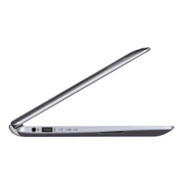 If you value a nice keyboard, want to connect multiple USB devices, need an Ethernet port, and want to upgrade your laptop later, the larger, heavier, and slightly more expensive T200 belongs on your shopping list. 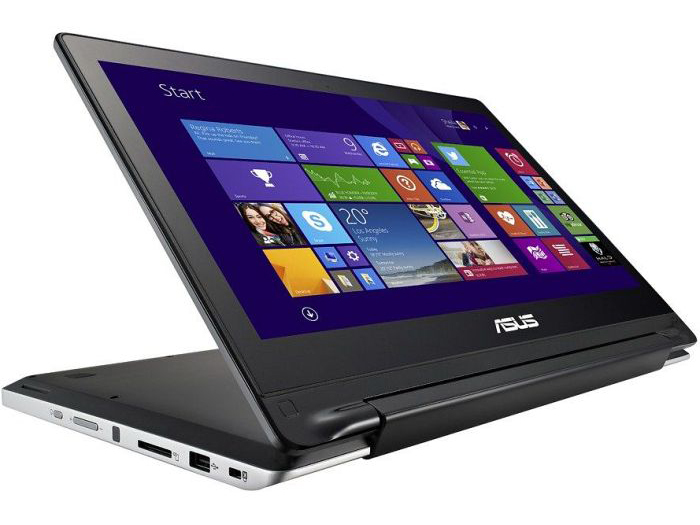 70% Asus Transformer Book T100TAM review – revamped! 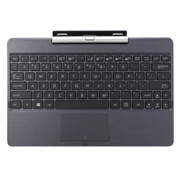 People buy these small 2-in-1s for what they can do, for their ability to run legacy software as well as the touch-optimized apps, for the keyboards they provide and the ability to connect accessories when needed, something that’s a bit more difficult to do with an iPad or an Android tablet. And the 10 inch screen might be indeed too small to provide an enjoyable Desktop-mode experience, while there’s just not enough space for a proper keyboard and trackpad on a device this small. В ногу со временем. Новое поколение этого недорогого гибридного планшета Asus на первый взгляд не слишком-то отличается от старого - значит ли это, что его выпустили чисто для проформы или все же была проделана хоть какая-то модернизация и работа над ошибками? 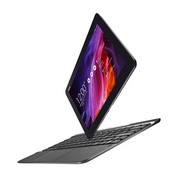 If you're looking for a portable, well-designed, durable machine, which can be used as a tablet by separating the keyboard from the screen, then the Asus Transformer Book T200 is for you. As it lacks power, it's more suitable for productivity and web navigation. 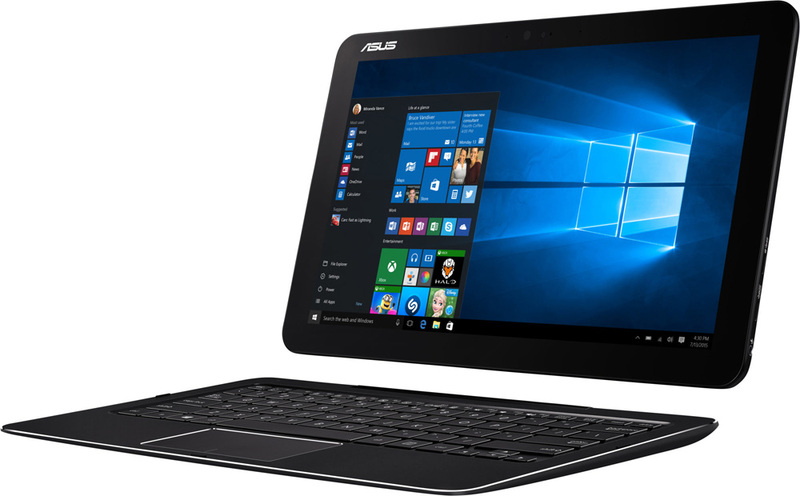 The Asus Transformer Book T200 is a decent attempt at a budget Windows 8.1 hybrid, but the paltry display and sub-par battery life is only saved by its decent keyboard and upgradable storage. 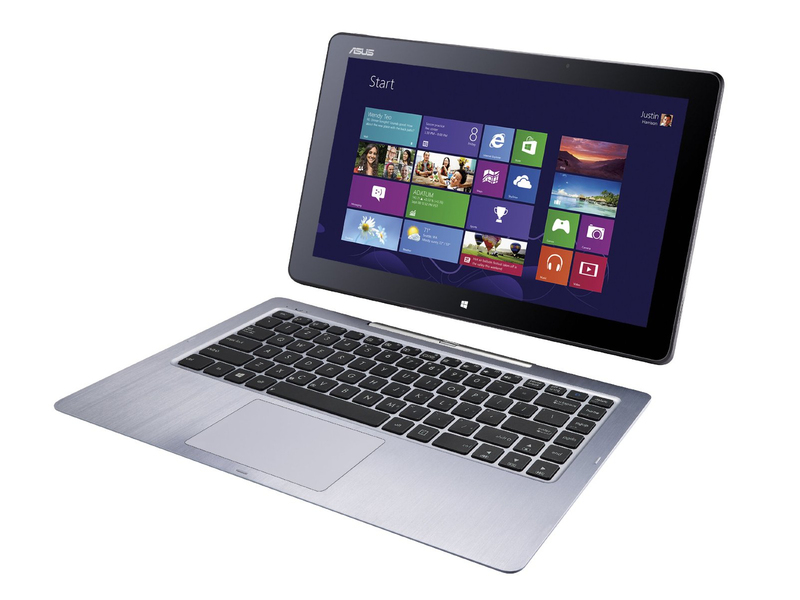 For £350, it's not bad, but if you're after an entertainment machine, you'd be best off looking at a dedicated tablet. At this price, we never expected the T200TA to be the last word in ergonomic design, but it’s a great little hybrid that does a cracking impression of a budget 11.6in laptop, and doesn’t make a bad tablet either. The display in particular is significantly better than the screens you’ll find on most budget laptops. 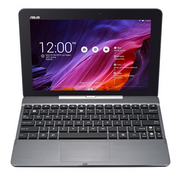 The Atom processor and 2GB of RAM may not provide enough headroom for everyone’s needs, but as a cheap and versatile Windows device, the Asus Transformer Book T200TA takes some beating. The T200TA isn’t slimmer or lighter than some of its rivals, but its detachable mechanism makes it more versatile, and its 11.6-inch screen means it’s not a world away from full-size tablets. The screen and battery are both good, even if the modest specification and mediocre keyboard mean the T200TA is restricted to low-end applications. It’s still not perfect, but this hybrid is affordable and well designed, so it’s definitely worth investigating. 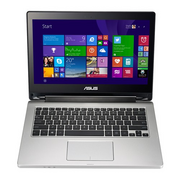 The Asus Transformer Book T200TA is an excellent compromise between tablet portability and laptop practicality. It's ever so slightly too big to be considered a replacement for your 7in or 9in tablet, but it's a good alternative for living room-based entertainment. If you're going to buy a cheap laptop for a bit of work and media consumption, the T200TA is the best choice. At this price, we never expected the T200TA to be the last word in ergonomic design, but it’s a great little hybrid that does a cracking impression of a budget 11.6in laptop, and doesn’t make a bad tablet either. The display in particular is significantly better than the screens you’ll find on most budget laptops. The Atom processor and 2GB of RAM may not provide enough headroom for everyone’s needs, but as a cheap and versatile Windows device, the Transformer Book T200TA takes some beating. The Asus Transformer Pad T100TAM is a revamped version of the T100TA 2-in-1 mini laptop, a stand alone 10 inch Windows tablet built on Intel BayTrail hardware, with a matching docking station. 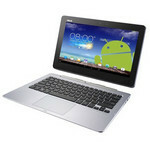 Compared to the original T100, the new version offers a metallic body, faster hardware and a somewhat improved display. 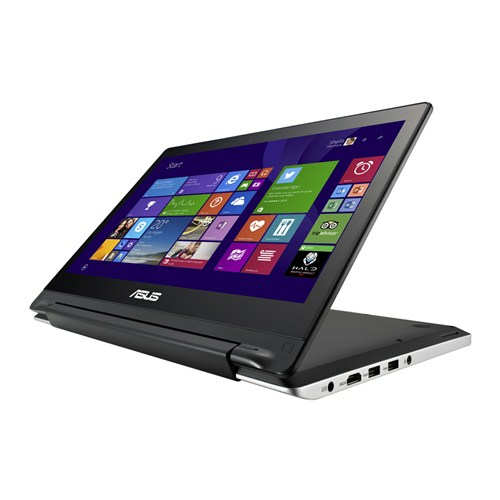 I really like what Asus has done with the Transformer Book Flip TP300. The system features a relatively large 13-inch display, a premium body with real metal and some of the best performance we've seen from a 2-in-1 under $500. The main thing holding the TP300 back is the screen's lack of brightness. The Asus Transformer Book Flip TP300LA is a great-value flexible laptop. 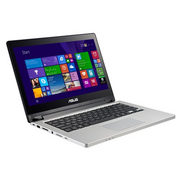 It's built well, has a decent processor and lasts ages on a single charge. 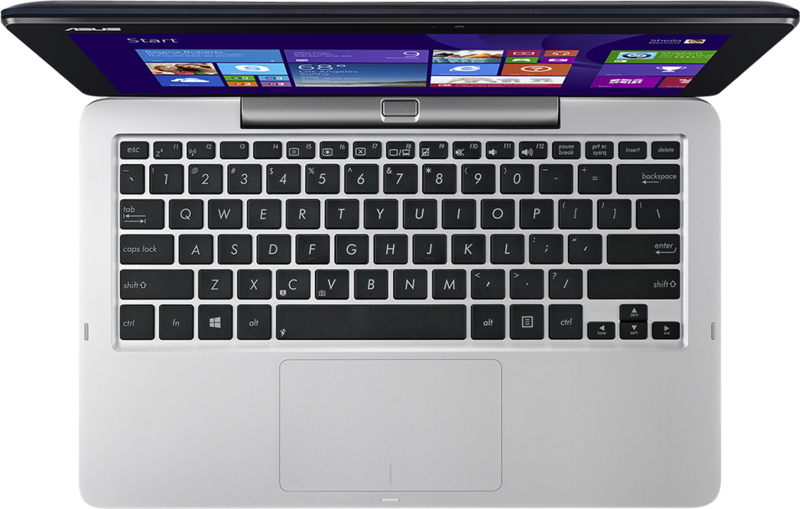 The only thing we'd like is a Full HD screen, which is available on more expensive versions of this laptop. Aside from that there's very little not to like about it, so it comes highly recommended. Transformer Book Flip – Lenovo Yoga в Asus вариант. Как ни крути экран нового 15.6-дюймового гибридного ноутбука Asus, недостаточная яркость его подсветки вводит в уныние. Смогут ли 360-градусные петли и стильный корпус перекрыть этот вопиющий недостаток? Asus Transformer Book Flip Tp500Ln – Трансформер Или Маркетинговый Ход? В лэптопе есть дискретная видеокарта, которая позволяет поиграть во многие игрушки, правда, совсем свежие если и получится запустить, то только на низких настройках. Совсем не радуют показатели автономности, да и в целом устройство не особо впечатляет своими характеристиками. К тому же, стоимость, которая в среднем составляет $700 за описанную комплектацию, заставляет задуматься о рациональности такой покупки. It is 32x23x1.5cm and weights a tad under 1.8kilos. 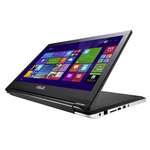 This is a Windows 8.1 notebook but it has an ability that most notebooks do not have, the screen can flip through 360degrees so not only is it a notebook but also a Tablet and because it’s a Tablet then it also has touchscreen ability. 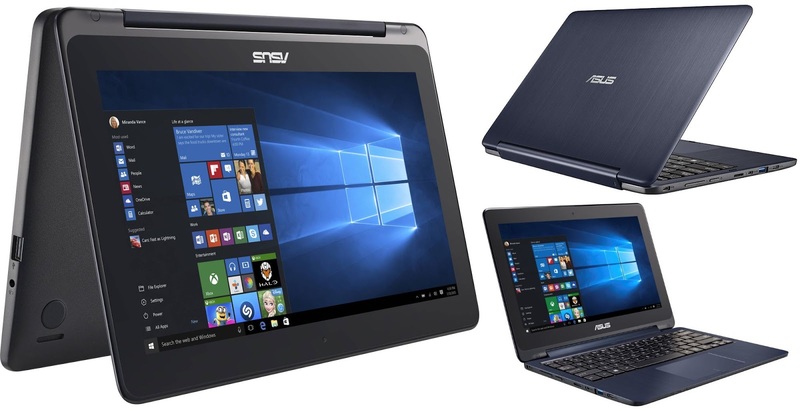 Asus has used its head when it developed the TP300L and has delivered a laptop that takes full advantage of Windows 8.1 thanks to that clever touch screen. The way it switches from laptop mode to tablet and back again with the minimum of hassle is very neat. On the downside 1.7kg is fairly heavy for a tablet so you will never confuse the TP300L for a Surface Pro 3. 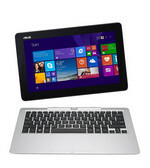 Multimode MultimediaThe ASUS Transformer Book Flip TP300L we're testing here, the 13.3-inch version, has high-end Ultrabook-style specifications in a stylish convertible design. 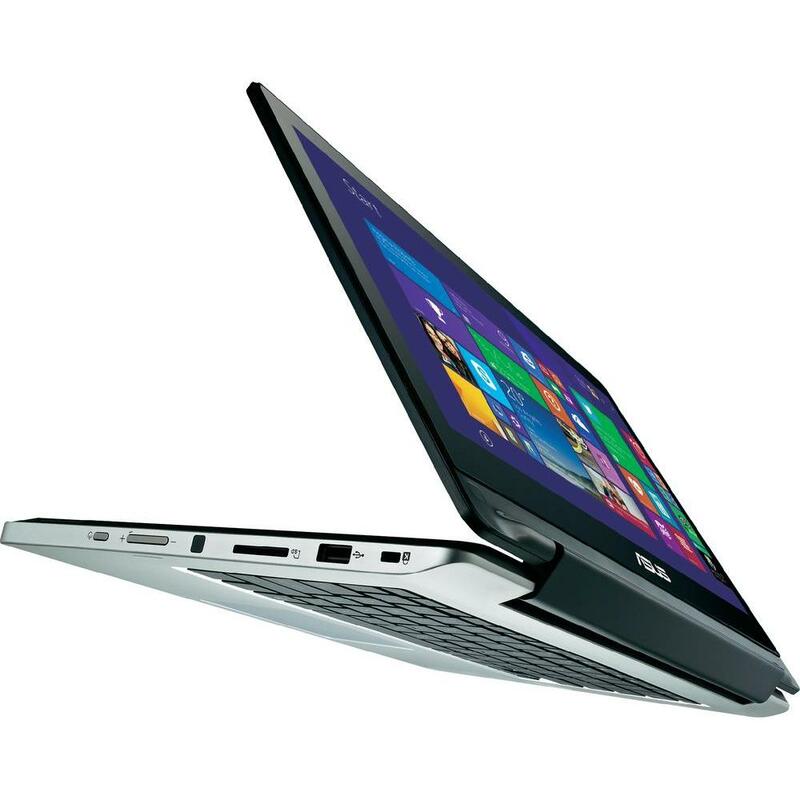 With Core i7, 8GB RAM Full HD touch and a discreet Nvidia GPU, this could be a 2-in-1 worth seeking-out. Учитывая стоимость гаджета, которая составляет около $750 за описанную комплектацию, пожалуй, есть смысл приобрести полноценный ноутбук, или выбрать более качественный планшет, в зависимости от приоритетных задач, которые вы ставите перед устройством. 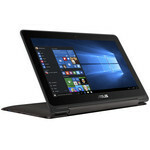 The Asus Transformer Book T200TA-C1-BL is a decent enough detachable-hybrid tablet for a reasonable price, but systems like the Dell Inspiron 11 3000 Series 2-in-1 (3147), our top pick for convertible-hybrid laptops, give you a lot more storage space and battery life for about the same money. If you can live with one inch less screen size, the compact Asus Transformer Book T100TA (64GB), our Editors' Choice budget detachable-hybrid tablet, gives you twice the battery life and a $100 cheaper price tag. 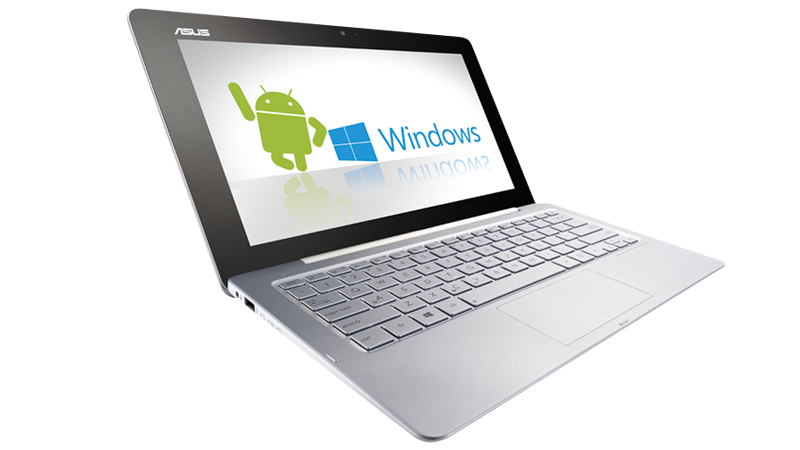 It's hard to stand out in the sea of Windows 8 tablet-laptop hybrids, but the Asus Transformer Book T200 is a very good detachable 2-in-1. 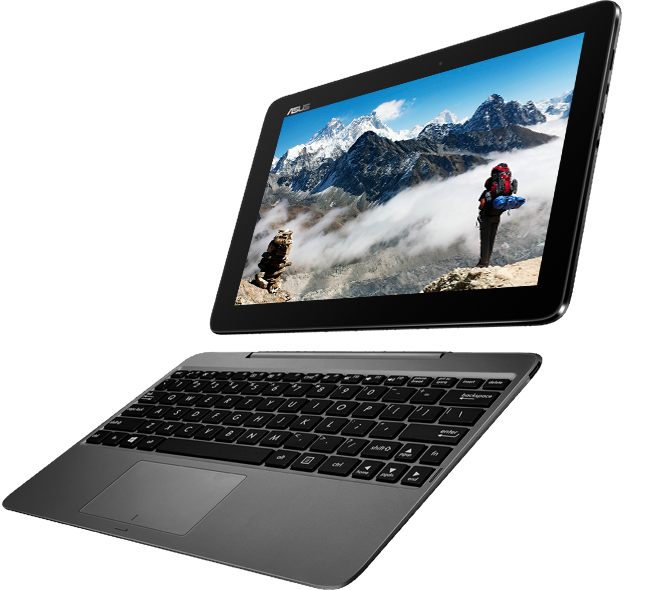 It offers a stylish design; a comfortable, full-size keyboard; and a vibrant IPS display with fairly wide viewing angles. Plus, you can expand the storage via the smart hard drive bay. 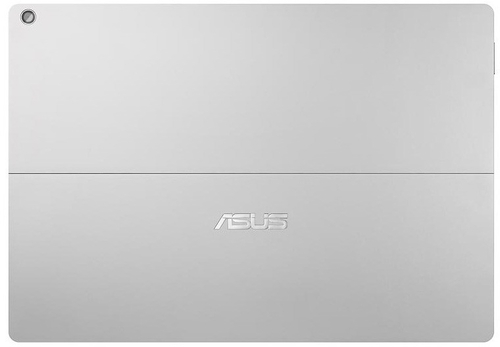 However, I wish Asus had found room on the dock for a secondary battery to boost the battery life. Overall, the Asus Transformer Book T200 does an admirable job of bringing value to the consumer at its $499 price point. As long as you don't expect it to have the performance of a workstation or gaming system—i.e., use it for the everyday tasks for which it was designed—it's one of the few hybrid devices that works equally as well as a traditional notebook or as a dedicated tablet. We especially appreciated the tablet's ergonomics. The latest hybrid from Asus falls into the same trap as most other systems in this category. The Flip’s good ergonomics, Core i7 processor and optical drive ensure that it works better in laptop mode than its rivals, but its weight and screen size make it awkward as a tablet. Those latter issues affected the HP and Toshiba systems, too. Серьезных недостатков в трансформере мы не выявили, разве что портов хотелось бы побольше, а вес поменьше. Тем не менее, ASUS TP300LD может успешно конкурировать с представителями линейки Lenovo Yoga или другими более дорогими соперниками из разряда 13-дюймовых ультрапортативных решений. Украшение стола. Новый ультрабук компании Asus построен с учётом новейших технологий, но основная заслуга разработчиков - это впечатляющий дизайн. Вообще, такие устройства неплохо получать в подарок от деловых партнеров. Дорого. Необычно. То, что не очень практично — дело десятое. Хотите практичности? Тогда лучше взять обычный ультрабук (есть и с сенсорным экраном), где не будет проблем с разъемами, будет удобнее тачпад и лучше время работы. 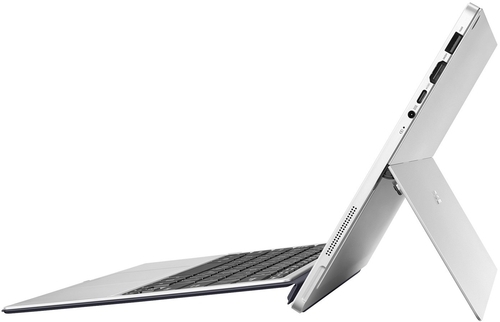 А для самых больших оригиналов есть Microsoft Surface Pro 3. Официально он в Россию не завозится, но при желании его можно заказать. Он не такой тонкий, зато там удобное перо, хорошая автономность и есть разные клавиатуры на выбор. Что касается клавиатуры, то разобрать её корпус не сложнее, чем корпус любого ноутбука. Для этого достаточно выкрутить с нижней панели все винты, после чего половинки корпуса можно будет разъединить. В центральной части размещена аккумуляторная батарея, которая легко поддаётся замене. Больше ничего заменить или добавить здесь не получится. Без минусов, к сожалению, тоже не обошлось. В частности, расстраивает клавиатура, которая неудобна для длительного печатанья. Кроме того, начинка в устройстве не позволяет запускать сложные задачи, ее ресурсов хватает только для элементарного: веб-серфинга, прослушивания музыки, просмотра видео, работы с документами и т.п. Емкость аккумулятора также оставляет желать лучшего, ведь обыкновенная работа в интернете разрядит гаджет максимум за 4-5 часов. 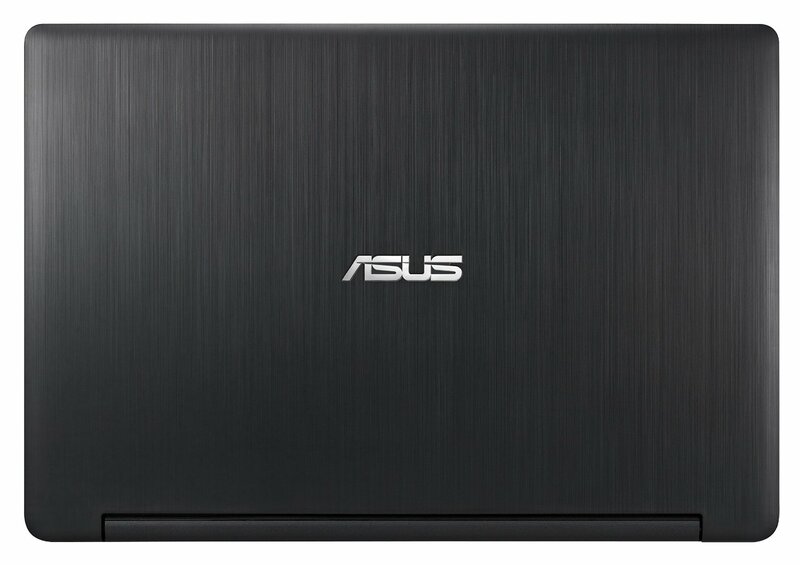 Стоимость ASUS Transformer Book T300 Chi, с такими-то недостатками, отнюдь не располагает к покупке, ведь модификация, описанная в данном обзоре, обойдется покупателю, в среднем, в $1300. It may be cheap and chunky, but the Transformer Book Flip TP300LA is no slouch, outpacing both rival convertibles and Asus's own Transformer Book Chi series in performance as well as battery life. However, you get what you pay for, and so you'll have to contend with a sub-par screen, an old operating system and a form factor that is far heavier than most 2-in-1s. Even with these issues in mind, though, this flip-flopping laptop is a great balance between power and value. The Transformer Book Flip represents another promising outing from Broadwell: the balance of value, performance and battery life is excellent, with the Flip scoring a little above average on all counts. Build quality is generally good, too, although the ergonomics need a tweak to make it really stand out. The FlipLock software isn't reliable – it stopped working on both machines we tested (the first was returned due to a hard drive fault). Without the software the machine loses its unique flipping ability. 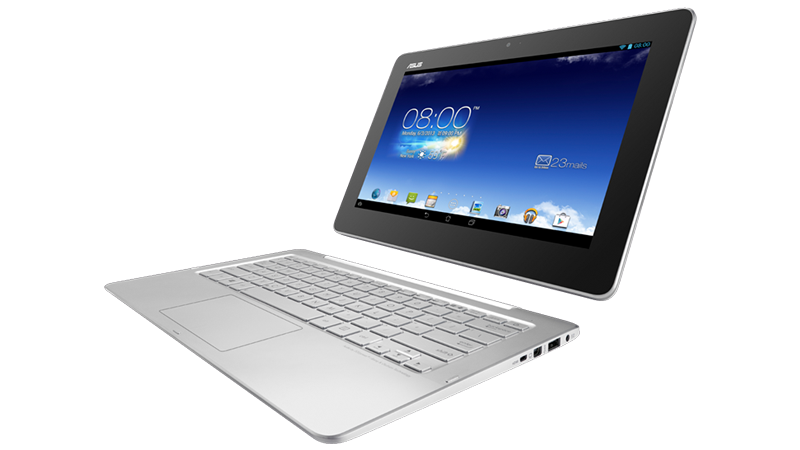 If Asus can make the FlipLock software more reliable, then it would make the TP300LA far more enticing. This robust and great looking machine is best for students, frequent travellers who want to store and watch movies and TV shows, and people who don't have a tablet but want touchscreen input. Just hurry up and update FlipLock, Asus. Worthy budget 2-in-1. 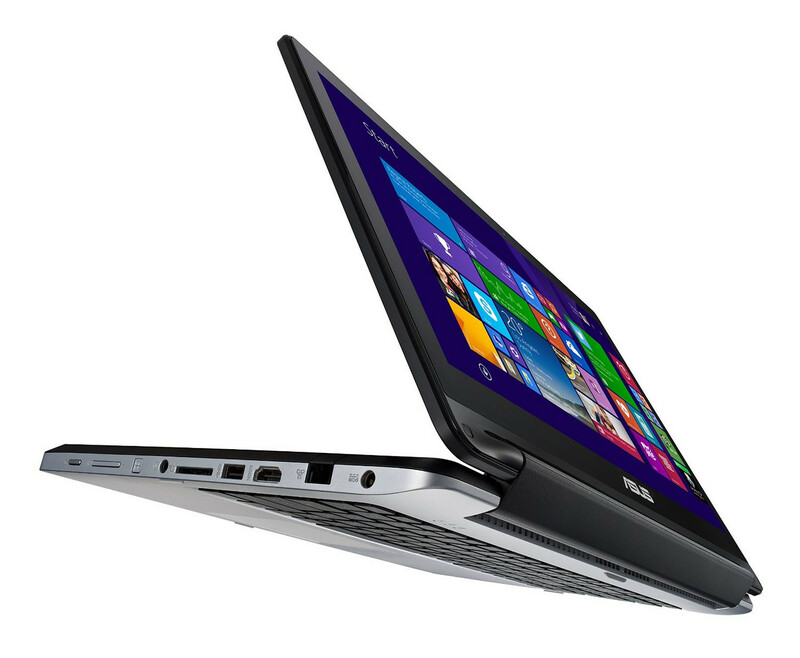 Asus' new version of their 11.6-inch Transformer Book ticks all the important checkmarks for budget convertibles. True, the storage could be larger and the performance better - but from a price-to-value ratio, the little machine is a tough act to follow. Что ж, теперь у нас достаточно фактов для того чтобы сделать выводы о качестве трансформируемого устройства ASUS Transformer Book Flip TP200SA. Итак, он выполнен частично из металла и стильно выглядит. Дисплей радует матрицей IPS, хорошими яркостью и контрастностью. Не подвела и клавиатура, которая, к слову, у большинства гибридных гаджетов имеет плохое качество. Но у нашей модели нет такого недостатка, более того, на нем очень удобно набирать текст, и даже большие объемы нисколечко не утомят руки пользователя. 68% A Transformer book that won't break your wallet. 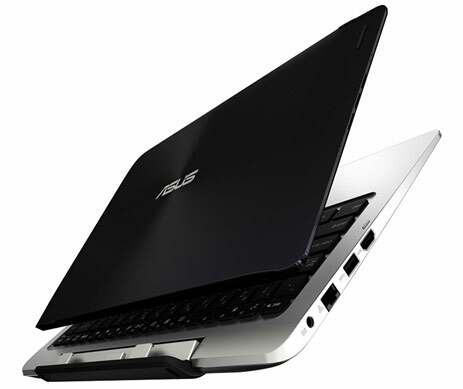 The Asus Transformer Book TP200 looks great and an amazing battery life, but it drops the ball when it comes to performance. While it’s good for watching videos, you can do that on any tablet nowadays. But try doing anything productive with it and you’ll likely be left frustrated. 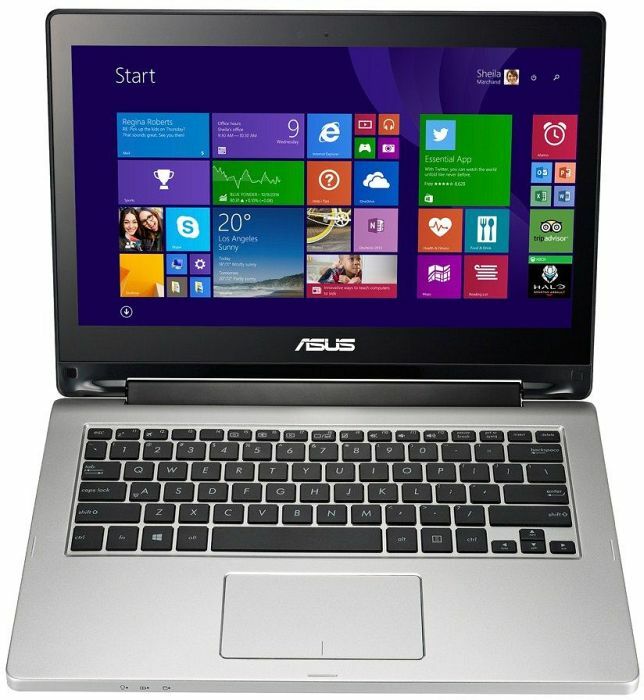 I wish the Asus TP200SA was allowed to reach its potential. In many areas the notebook is an excellent budget system. It’s attractive, has a decent keyboard, is reasonably light, lasts a very long time on battery, and even serves up a high-contrast display. But all of that doesn’t matter because there’s something holding it back. If I could get a little more speed and storage on the TP200SA, it would be my hands-down favorite budget 2-in-1. I really like the bright display, sleek design, USB Type-C port and seemingly endless 11-hour battery life. If you're looking for more punch from a sub-$500 hybrid, the $450 HP Pavilion x360 is a better fit. But at $349, the Asus feels nearly as good for a lower price. Its mediocre performance in our CPU and application benchmarks relegates the Transformer Book Flip TP200SA to relatively humble tasks like word processing and presentation work, but we can think of a lot worse things than having a well-built, take-it-anywhere compact to tackle those jobs, then swivel into stand mode for showing off results or tablet mode for leisure time. Вторая попытка. Не прошло и полгода, как у популярного гибрида T100 Chi появился преемник. Его задача - исправить недостатки предшественника и потеснить конкурентов за счет новейших технологий и крайне привлекательной цены. Но не слишком ли в Asus увлеклись экономией? Трансформируемое устройство ASUS Transformer Book T100HA – яркий пример того, что далеко не всегда хороший гаджет стоит баснословных денег. Заплатив примерно $450, вы получаете алюминиевый девайс, который можно использовать как в роли планшета, так и небольшого лэптопа. Из других преимуществ – качественный экран, балующий глаз пользователя отменной цветопередачей и отличными углами обзора. Кроме того, гаджет располагает оптимальным набором интерфейсов, в числе которых – новенький USB 3.1. 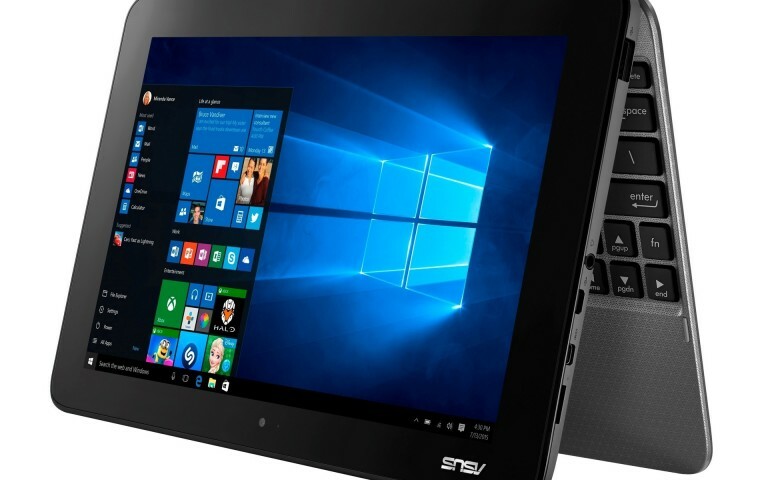 The Asus Transformer Book T100HA is lighter and easier to carry around than similarly priced entry-level laptops, and offers a touchscreen experience that you wouldn't otherwise get. 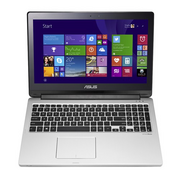 The specifications are mostly low-end but up-to-date. You'll also have to live with limited storage, zero upgradability, and a keyboard and trackpad that simply aren't very good. Given the cheaper price of the T100HA versus the Click, its higher performance result in PCMark 8 Home’s benchmark was a great surprise, posting 1581 versus the Click’s 1277. This doesn’t make it a game-devouring performance-pig, but the T100HA has ample oomph to handle multitasking of normal daily duties like email, web browsing and virus scanning. PCMark also turned in an impressive battery life of 282 minutes. While the original Transformer Book may have been an affordable trailblazer, the Asus Transformer Book T100HA feels outdated, slow and unremarkable. It's still pretty solid, but quite frankly you'd be better off with a Chromebook if you want a cheap laptop, a regular tablet if you want a slate, or a Surface if a hybrid tablet appeals. The Transformer Book T100HA is a lesson in how to ruin a promising, affordable Windows device with one terrible flaw. In case you hadn’t already guessed, I’m referring to the keyboard – it is, by any measure, unutterably awful. If it weren’t for the full-sized USB 2 port, I’d be tempted to throw it in the bin. This is a crying shame, because there really is a lot to like elsewhere. This is a nicely executed budget Windows tablet with 64GB of storage; it’s long-lasting; and it’s not much slower than Microsoft’s Surface 3 – that’s not to be sniffed at for £230. And if you desperately want a 10in Windows 2-in-1 for under £250, then you may possibly be able to find it in your heart to make peace with the Asus’ keyboard. 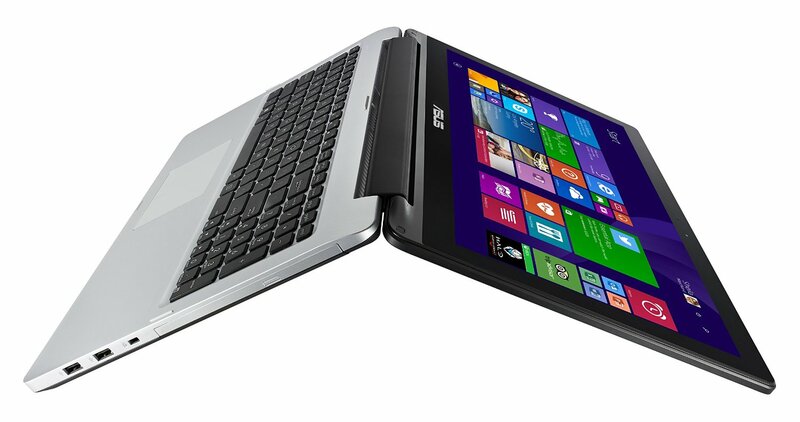 The Asus Transformer Book T100HA combines the value of an old-fashionednetbook with the mod cons of a convertible PC. 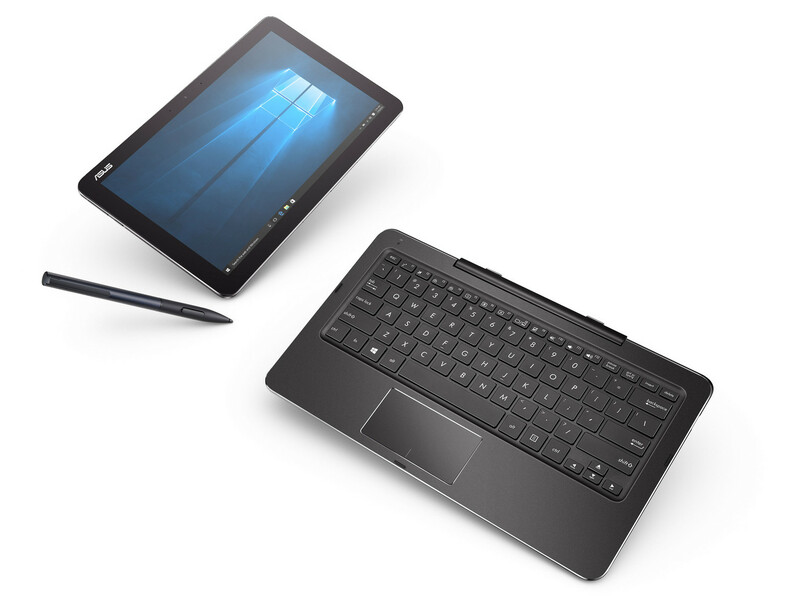 Unlike premium 2-in-1 solutions, the T100HA doesn't attempt to excel in all areas and instead offers the basics of tablet and laptop computing in an accessible package priced from £229. As a tablet hybrid, the Asus Transformer Book T100HA is a decent option. But if being able to switch from tablet to laptop on the fly isn’t your top priority, look elsewhere. Despite our forced positivity above, we can't say that we enjoyed our time with the T100HA. It's not an immediately friendly laptop, at least in this grey incarnation, and the poor keyboard means it's mostly useful as a tablet – and not a wonderfully good value one at that. That said, for the right role, this is a good purchase – if you want a laptop/tablet that can handle just about any office task and won't need recharging for a good long time. Just be aware that when you do set it charging, you may want to consider going into hibernation yourself. We can't help but remark, however, that under-$400 2-in-1's are a lot more popular and easier to find than they were two years ago. If the T100 was a landmark, the T100HA is, well, a sequel—and one that doesn't enjoy the first model's enviable position of going without competition for some time (and inspiring resellers, in the meantime, to jack up its price). For £299.99, the Transformer Book T100HA offers reasonable performance, decent battery life and all the perks of Microsoft’s latest Windows 10 operating system. However, it’s design does border on being dull and I’m a little disappointed with its display’s 1280 x 800 resolution. But even with these issues, the Transformer Book T100HA is a solid choice for any buyer looking for an affordable Windows 10 convertible. This is the latest Asus Transformer Book and one of the best affordable 10-inch Windows tablets of the moment. It tucks inside a sleek metallic body a nice screen, the latest Intel low-power platform and a 30 Wh battery. It's not perfect, but it's a great device for what it costs, so if you're in the market for such a compact slate/mini-laptop, you should have it on your list. 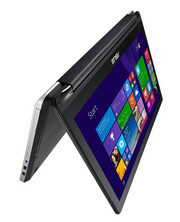 ASUS Transformer Book T100HA is definitely worth considering, if you’re looking to buy a 2-in-1 hybrid under 25k. A close second to also consider would be the Acer Switch 10E. The Asus Transformer Book T100HA is an impressive detachable-hybrid tablet, boasting a wide variety of features, fast performance, a sharp display, and good battery life at a very affordable price. 80% Asus Transformer Book T100HA, le convertible idéal à 300 euros ? Although no speed-demon itself, if you can afford it then opt for the Lenovo Yoga 700.. The unit is 29.5x20x1.5cm and it weighs 1176grams. If you have touch then you should have Windows 10 as it was designed with that in mind, certain things like annotations only work with touch. So a Notebook and Tabletall in one with Windows 10 should be the way to go. The Asus Transformer Book Flip TP200SA has its flaws, then, but at this price it seems churlish to criticise it too harshly. It provides a decent middle ground between laptop and tablet, and it's a great device for those on the fence about buying either. 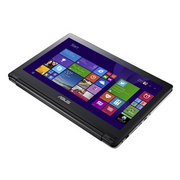 The Asus Transformer Book T101HA is a decent little 10.1″ convertible. It’s well priced, and it does a good job as a work and social tablet/notebook, plus the battery lasts for around ten hours of office-type use too. mm David Hayward. 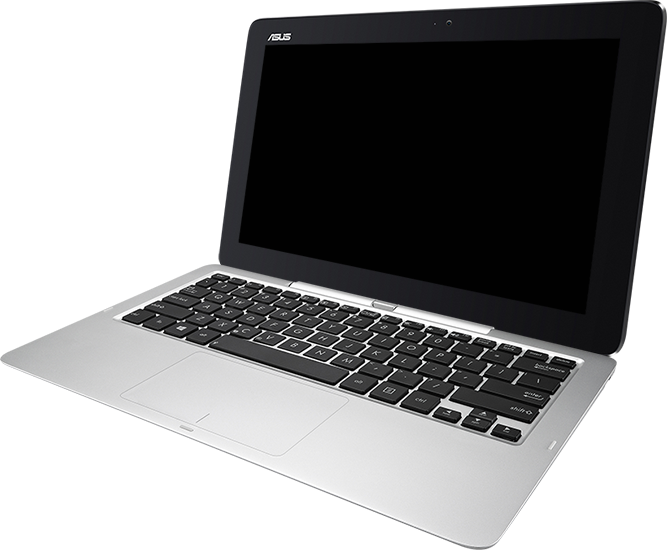 Having recently covered a couple of Notebook/Tablet offerings this item from ASUS is different in that the keyboard is detachable so without it it’s a true Windows Tablet and with it then you have a small touch enabled Notebook. On paper the Transformer Pro promises to undercut Microsoft's market leading Surface Pro with beefy specs and like-for-like design, but underwhelming performance and a woeful battery life scupper its chances at the crown. 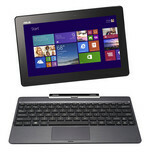 There’s a lot to like about the Transformer Pro T304, from pricing to basic computing performance. Perhaps with more practice, and maybe even saving the same fingerprint more than once, the scanner will become more reliable. Unfortunately, there’s nothing to be done about the battery life. For those who want a 2-in-1 Windows tablet that doesn’t drain your savings account with essential accessories that cost extra, the Transformer Pro T304 is worth considering. We would have liked to have seen better results on a few of our media-crunching benchmarks, but the Transformer Pro T304UA felt peppy in anecdotal testing, and no thin, tablet-primary 2-in-1 is likely to be a media-converting monster; it's just not in the genes of these machines. Unless you plan to create or edit media, the system is more than up to the task of providing a pleasingly smooth, lag-free Windows 10 experience. Overall, the Transformer Pro's decent performance, USB-C port and good portability should appeal to students and professionals who want a cheaper alternative to the Surface. В целом, ASUS Transformer Pro T304UA можно назвать сравнительно небольшим, хорошо продуманным и доступным в своем сегменте аппаратом. Он предлагает широкие возможности с ручкой и клавиатурой, и эти аксессуары входят в комплект поставки. Кроме того, в модификации есть сканер отпечатка пальца, встроенный прямо в кнопку включения, и работает он прекрасно! Трансформер однозначно заслуживает серьезного внимания к своей персоне, несмотря на довольно низкую автономность. Он предлагает взамен шикарный дисплей, хорошую производительность и разумный выбор портов. : Они позволяют запускать некоторые нетребовательные современные игры. Впрочем, производительности данных видеокарт более чем достаточно для обычных офисных задач и просмотра HD-видео. Плюсом интегрированных видеокарт обычно является наибольшее достижимое время автономной работы использующих их ноутбуков. HD Graphics 5300 - экономичный графический ускоритель, встроенный в мобильные процессоры Intel Core M и совместимый с DirectX 11.2. Intel HD Graphics (Braswell): Относительно маломощный графический ускоритель, встраиваемый в некоторые процессоры Intel Celeron или Pentium.Intel HD Graphics 515: Графический адаптер, установленный в энергоэффективных мобильных процессорах Intel Core M поколения Skylake.Intel HD Graphics 400 (Braswell): Эти графические чипы позволяют играть только в старые и не очень требовательные игры. Графические ядра с разделяемой памятью позволяют достичь более длительного времени работы от батареи и меньшего уровня нагрева. Офисные задачи, интернет, обработка (небольших) изображений и просмотр (не HD) видео для них не составляет особого труда. Intel HD Graphics (Bay Trail): Экономичный графический чип, встраиваемый в процессоры Atom.Intel HD Graphics (Ivy Bridge): Видеокарта, встроенная в некоторые процессоры Celeron и Pentium семейства Ivy Bridge.Intel HD Graphics (Cherry Trail): HD Graphics (Cherry Trail) - мобильный графический ускоритель, интегрированный в процессоры Atom Cherry Trail.Эти видеокарты предназначены только для работы с офисными приложениями и интернетом. Игры на них вряд ли запустятся, а если и запустятся, то будут сильно тормозить или вылетать с ошибками. NVIDIA GeForce 840M: Видеокарта среднего класса, принадлежащая к серии GeForce 800M.NVIDIA GeForce 820M: Видеокарта начального уровня, основанная на 28-нм архитектуре Fermi.Intel HD Graphics 620: Графический процессор Intel среднего (GT2) класса, встроенный в некоторые центральные процессоры поколения Intel Kaby Lake. Некоторые - это те, что с 15-ваттным TDP. Низковольтный двухъядерный процессор для планшетов, лёгких ноутбуков и гибридных устройств, основанный на архитектуре Broadwell. Core M-5Y71 - это двухъядерный процессор для планшетов, тонких ноутбуков и гибридов, основанный на архитектуре Broadwell. Низковольтный двухъядерный процессор архитектуры Broadwell для планшетов, лёгких ноутбуков и гибридных устройств. 6Y75: Крайне экономичный двухъядерный процессор архитектуры Skylake со встроенной графикой HD Graphics 515. 75.91%: No rating comment found (one expected)!Общие рекомендации по выбору электроники: Гид покупателя.